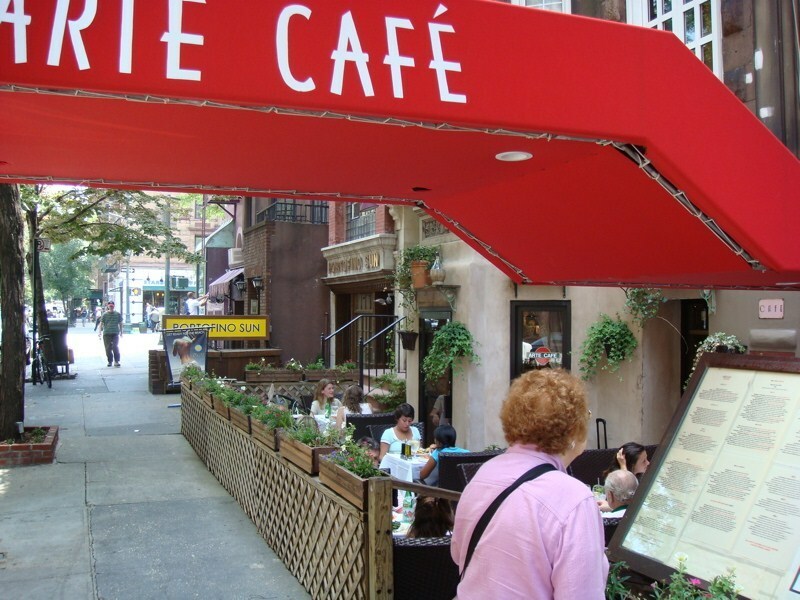 "Upper West Side - SoCo is a Trending Neighborhood for Dining"
Welcome to SoCo, the Manhattan neighborhood I’ve called home for more than a decade. 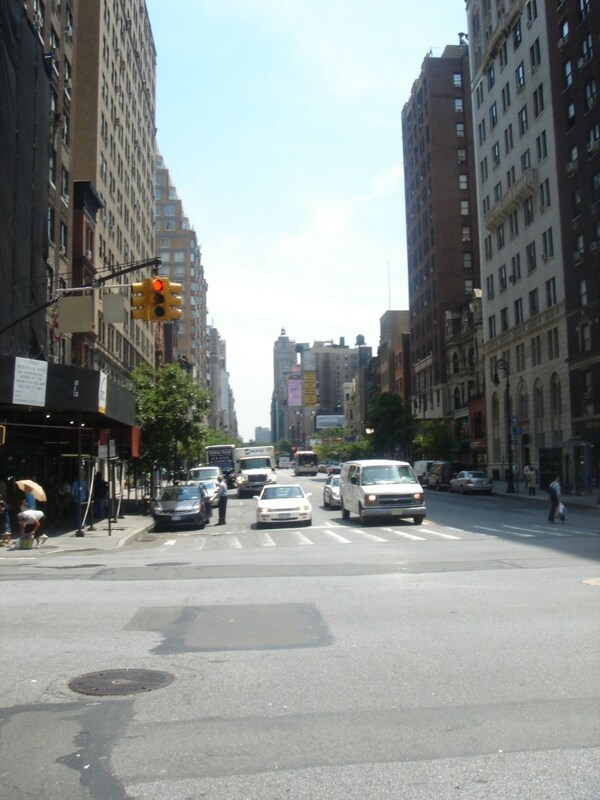 SoCo is the area immediately South of Columbia University, New York’s premier learning institution located at 116th Street. 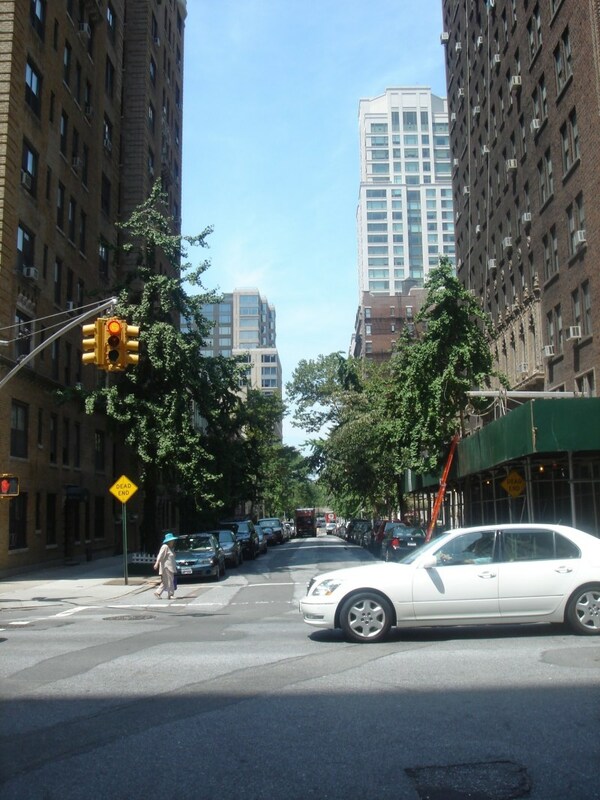 It is north of what most folks think of as the Upper West Side (or UWS), and south of the area known as Morningside Heights. 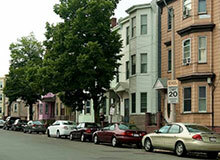 Here, residents know their neighbors and have a strong sense of belonging. Once a dangerous, drug-ridden area, it has evolved over the past decade into a haven for families, singles, young folks and old from all over the world. 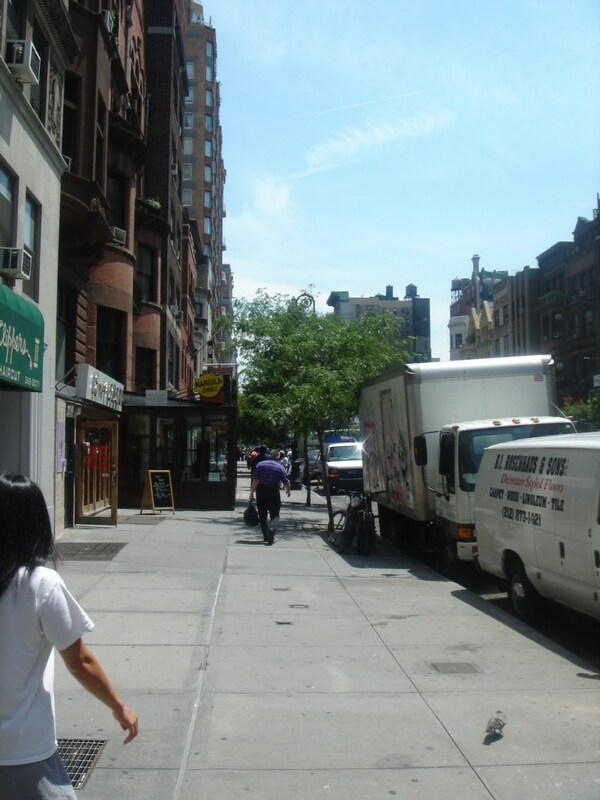 Our diverse community is reflected in the diversity of ethnic eateries, many of them located along Broadway a short stretch of Broadway. 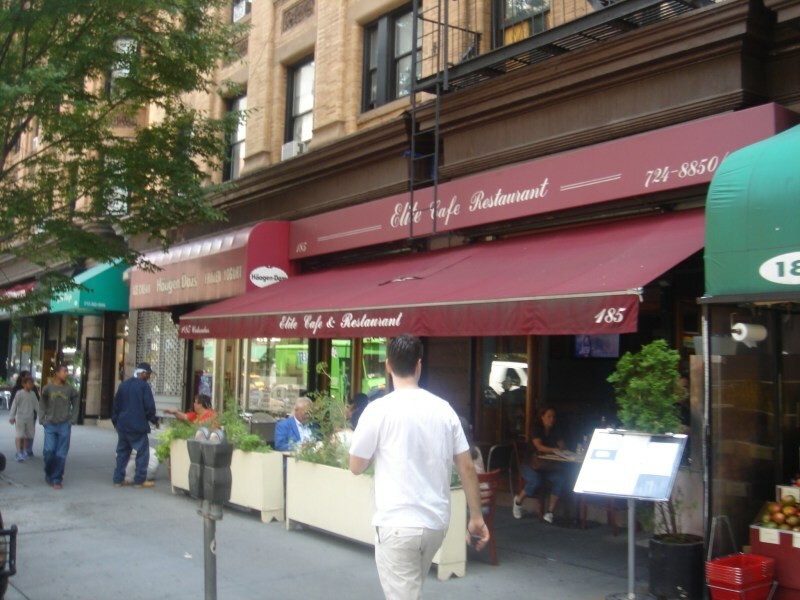 You can unleash your inner Francophile at French bistro Le Monde (Broadway at 112th), ‘go Greek’ at Symposium (on 113th Street, just east of Broadway), feast on Turkish delights at Amir’s Falafel (Broadway at 113th Street). Looking for healthy fare? We’ve got you covered! Check out vegan eatery Zen Palate (on 105th Street, just east of Broadway) and locavore-centric Community Food and Juice ((Broadway at 113th Street). Or treat yourself to an All-American brunch at moderately priced Metro Diner (Broadway at 100th Street), upscale Deluxe Diner (Broadway at 113th Street), or Tom’s Diner (Broadway at 112th Street). 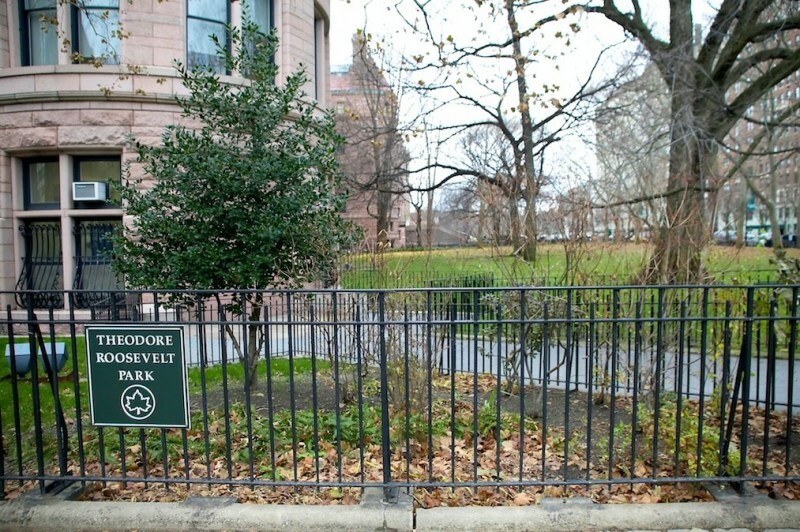 Walk off your meal with a stroll in nearby Central Park, Riverside Park, or SoCo’s hidden jewel: Morningside Park. It’s a gorgeous 30-acre park that goes from 110th to 123rd Streets from Morningside Avenue to Morningside Drive with baseball fields, a peaceful pond, and gorgeous rock formations. Getting here is half the fun! There are more transportation options than you can shake a stick at. 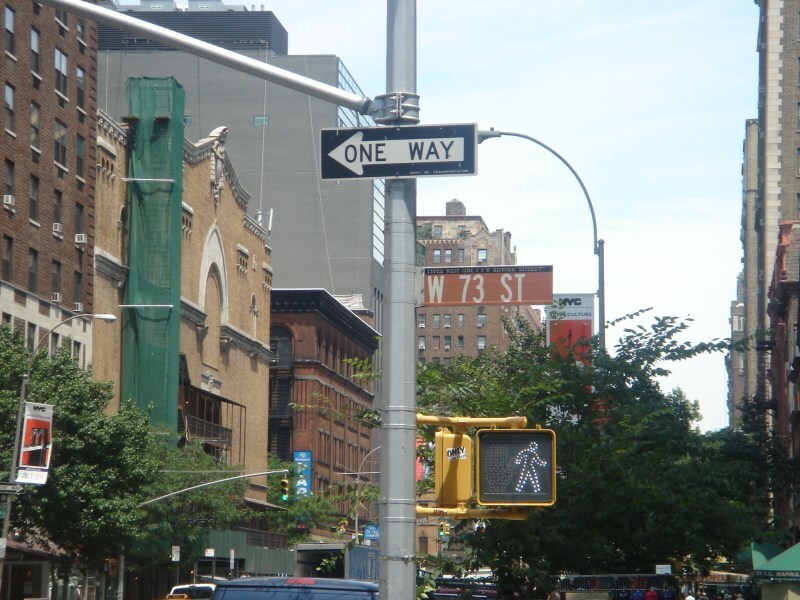 There are two subway lines to choose from, one on Central Park West and one on Broadway. So you always have a good commuting alternative if train service is interrupted on one line or the other. And buses! Boy-oh-boy do we have buses! 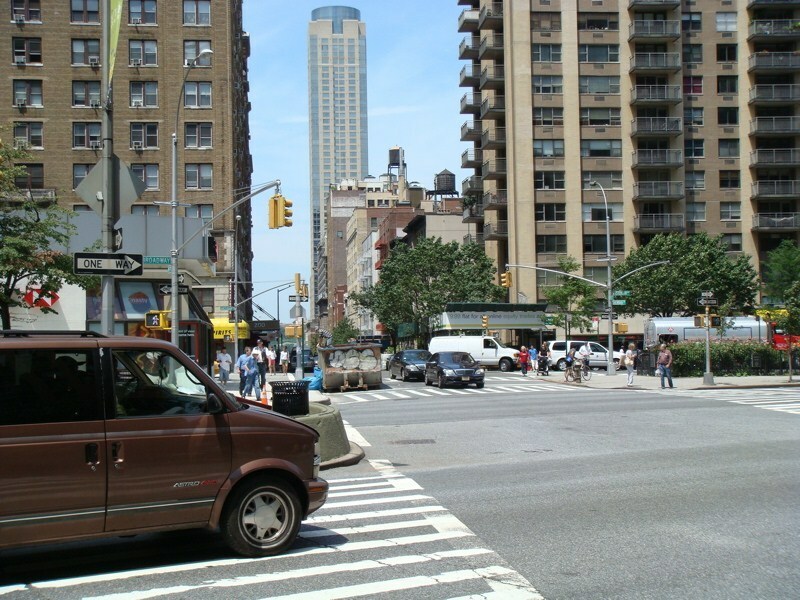 Every street has a bus of its own – there are 2 on Amsterdam Avenue (M11 and M7) – and you can catch a bus (M60) to LaGuardia Airport at convenient stops between 106th Street and 125th Streets. Of course, with so much to do in SoCo, you really never need to go anywhere else! 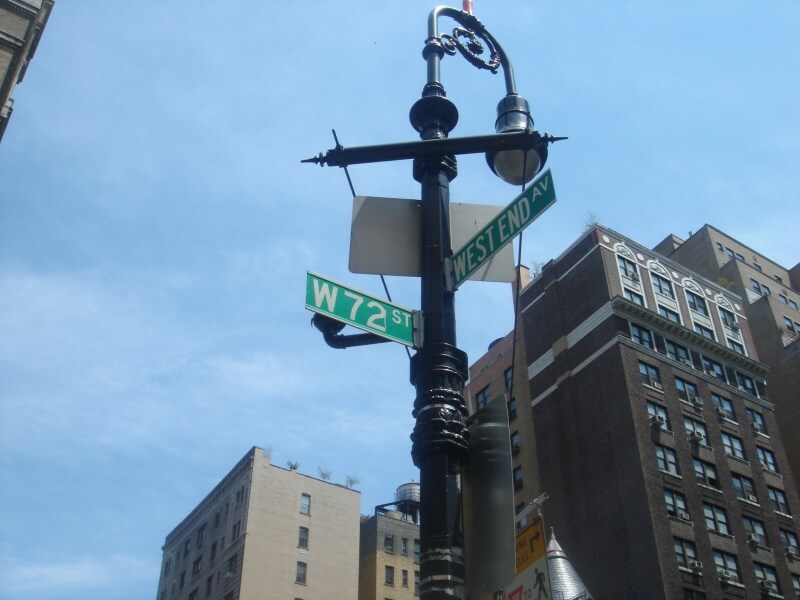 "Upper West Side - Bloomingdale West Is the Education Hub"
On the east side of Manhattan, Bloomingdale’s is an iconic department store. 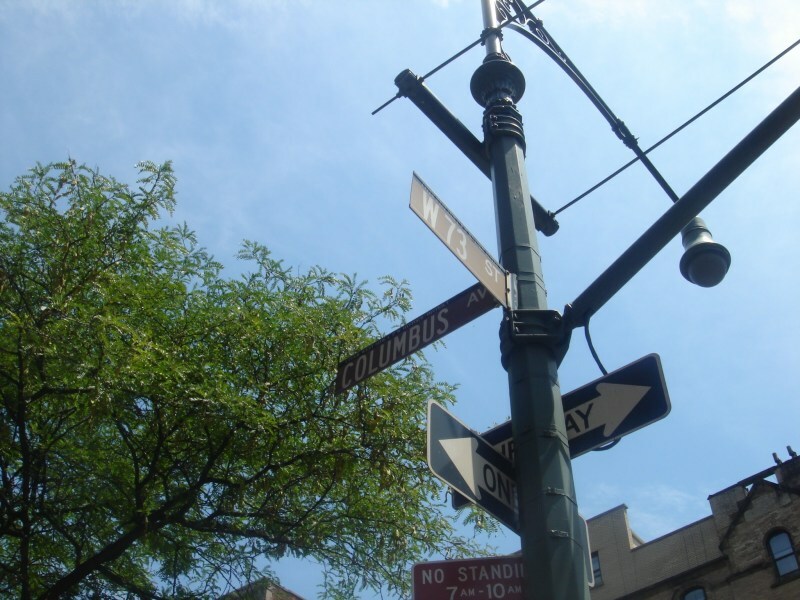 On the west side, Bloomingdale is the area between 96th and 110th Streets, west of Amsterdam Avenue...so named because Broadway was once called Bloomingdale Road. 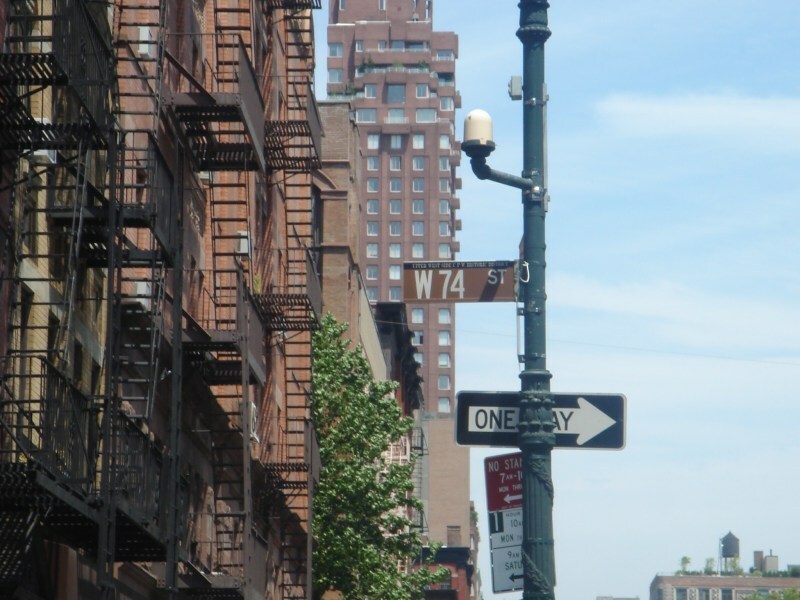 Bloomingdale is also referred to as ‘The Upper-Upper Westside, to define its special place in the broader term ‘Westside,’ that refers to the streets and neighborhoods between Central Park and the Hudson River and between West 59th Street and West 125th Street. In Bloomingdale, learning is fundamental...and fun! 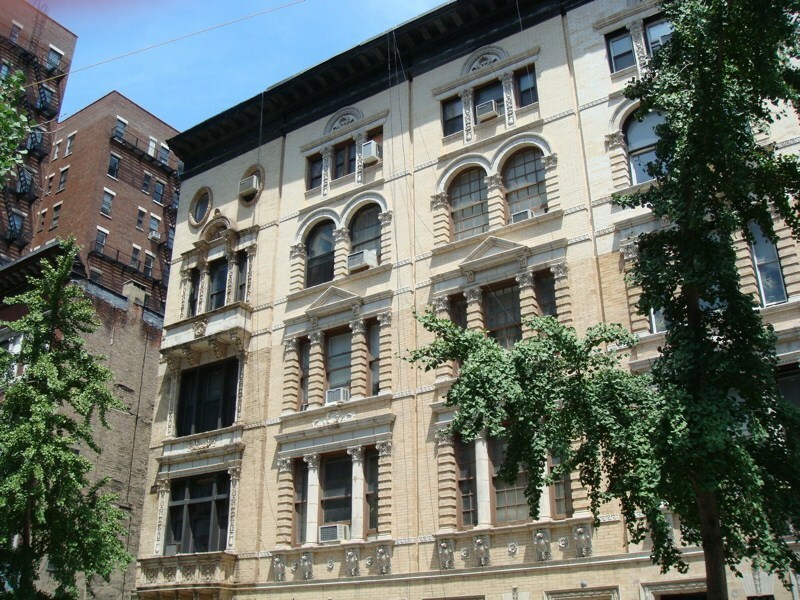 One of the most respected learning institutions for youngsters is the renowned Bank Street School on 112th Street. 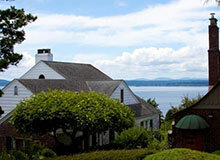 Nearly 100 years old, the school is renowned for its interdisciplinary approach to education. In addition to intellectual development, the school also addresses the social, emotional, and physical development of its students. 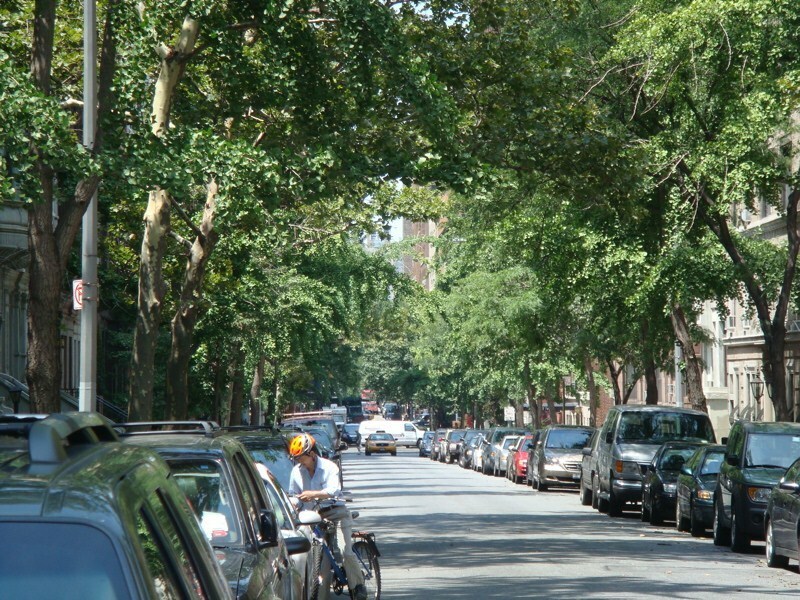 Bloomingdale brings together a diverse mix of New Yorkers. Household incomes are varied, too. Some residents are wealthy while others are receiving public assistance. The area is home to long time residents who have watched the neighborhood transform from a no man’s land of drug dealers to a haven of safe, friendly streets. There is also a tremendous transient community of students who are here to attend Columbia University, Barnard, Manhattan School of Music, and other institutions of higher learning. 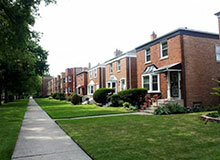 The bottom line: parents care about their kids in Bloomingdale and it is common to watch strangers become friends as they discuss raising and educating their brood here. You’ll love it here! 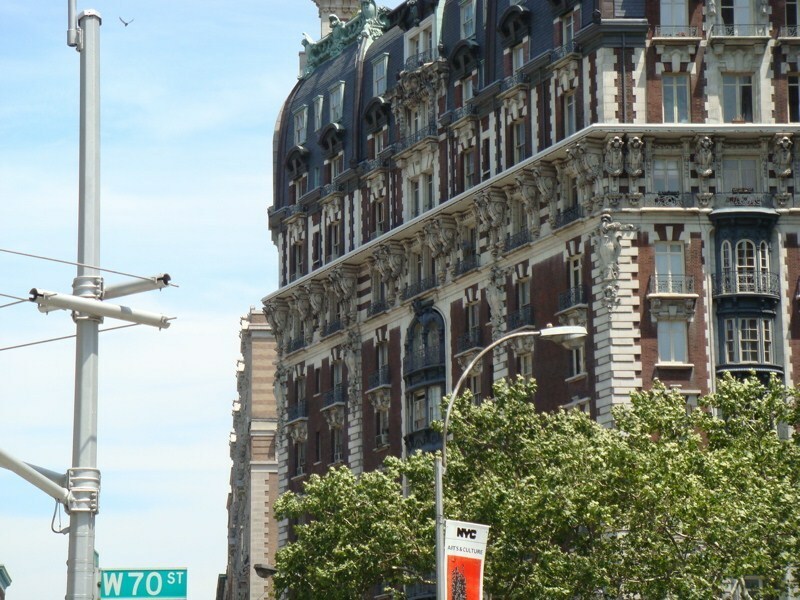 "Upper West Side - SoHa Is Northern Manhattan’s Jewel"
The Upper West Side (UWS) of Manhattan isn’t one neighborhood...it’s dozens of constantly evolving communities. 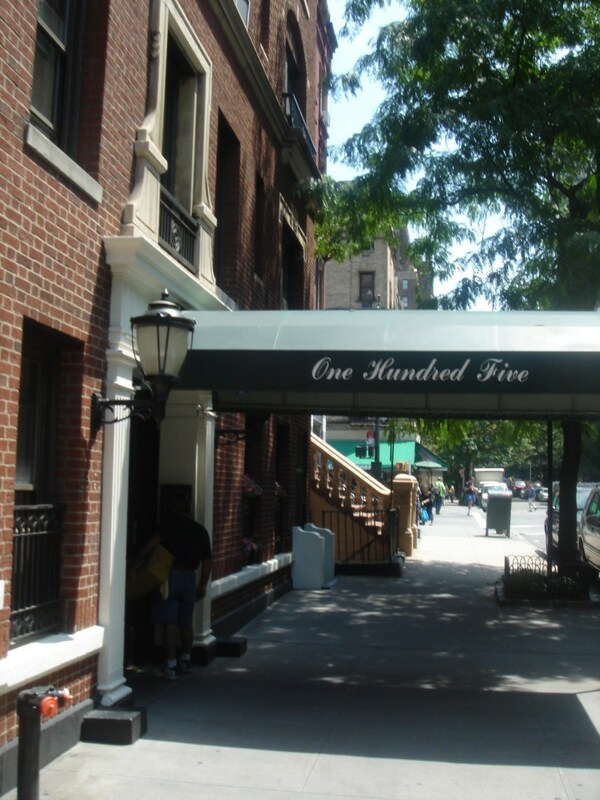 One such community is known as Morningside Heights. 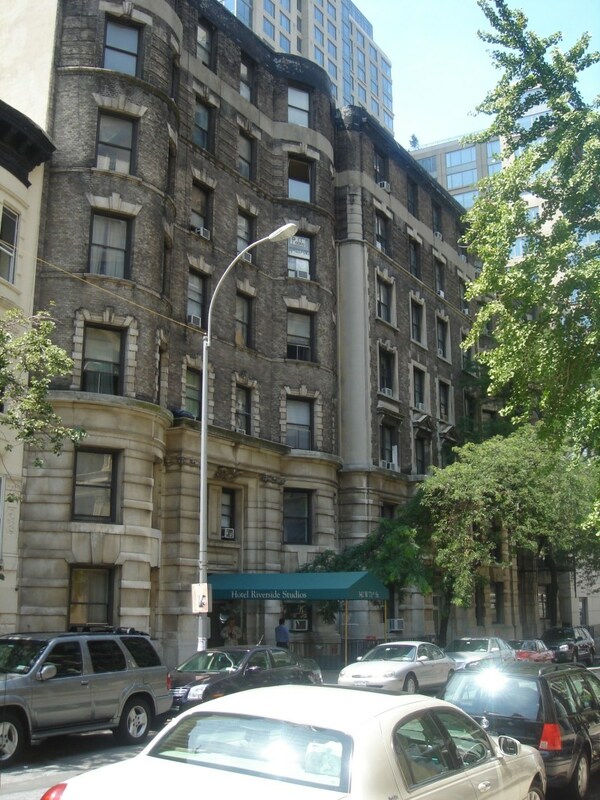 Morningside Heights is defined by residents as the area south of 125th Street, north of 110th Street, east of Riverside Drive, and West of Morningside Drive. 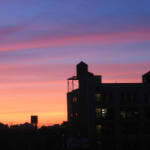 But businesses moving into the area have taken to calling it SoHa – the area south (So) of Harlem (Ha). 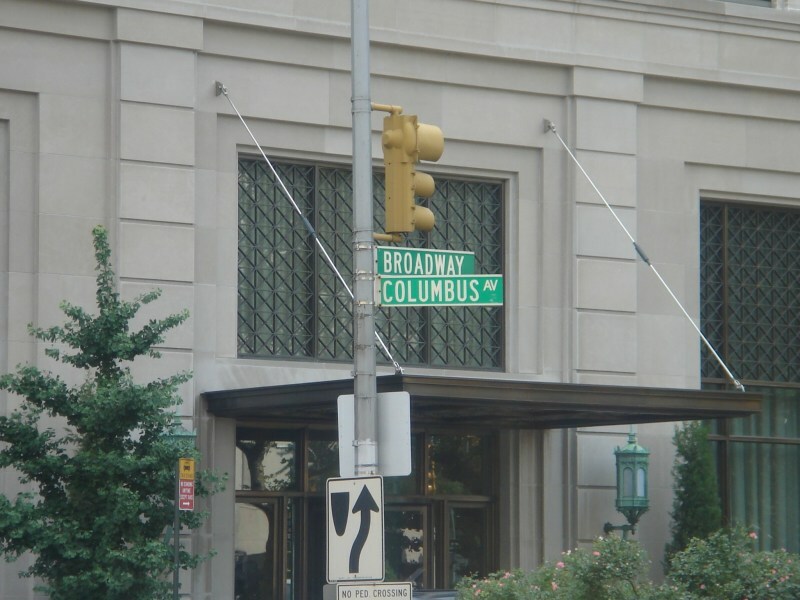 Columbia University is located at 116th Street, and its students and faculty are the backbone of SoHa. And although there’s plenty to see and do on Broadway, Amsterdam Avenue is the real heart of SoHa’s youth-centric community...especially when they want to grab a bite to eat. The friendly bar/restaurant Hakkon’s Hall at 1187 Amsterdam (at 119th Street) has a collegiate vibe, daily specials, “TV dinners” (served on specially designed retro plates) and a nightly happy hour. 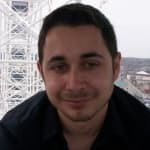 Despite its casual appearance, the restaurant actually features fine dining thanks to chef James Francis Lenzi, a teaching fellow at the Culinary Institute of America. 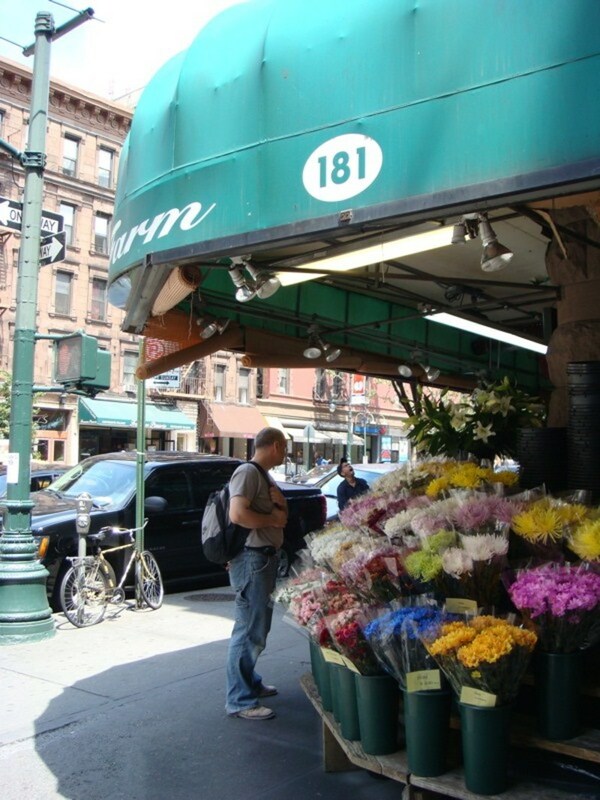 Max SoHa, the uptown branch of a popular downtown eatery, is located at 123rd Street and Amsterdam. The atmosphere is relaxed and casual; the food, the cuisine satisfying and affordable. It has outdoor seating, so it’s a great place for people watching. Students with a sweet tooth head to Kitchenette, another SoHa outpost of a downtown business, located at Amsterdam and 122nd Street. Kitchenette is famous for its straight-from-mom’s kitchen baked goods including towering cake slices, tender crust pies, along with cookies, brownies, and tarts. How do you get to SoHa? The possibilities are endless. 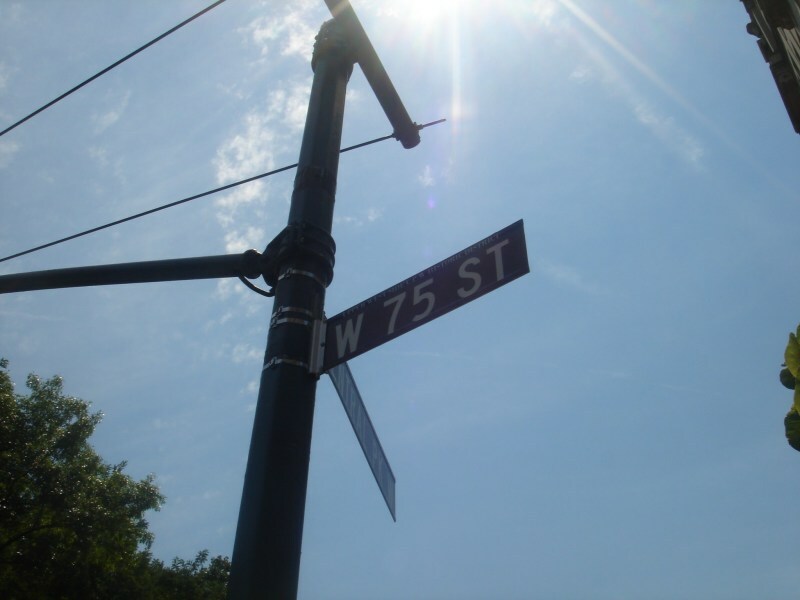 The #1 subway line has stops at 110th Street, 116th Street, and 125th Street. 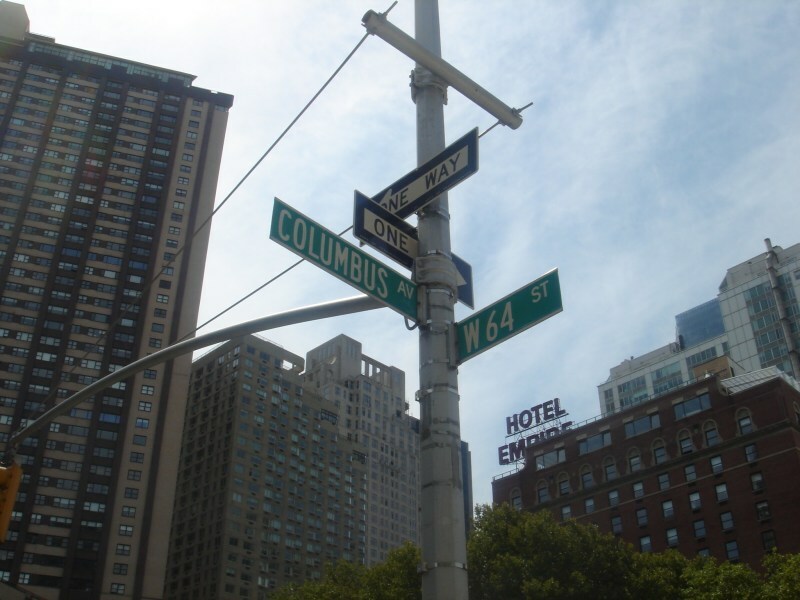 Bus enthusiasts can ride the M104 and M60 on Broadway or the M11 on Columbus Avenue. 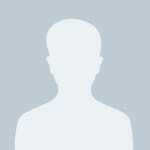 SoHa is waiting. Come on up! Coolbeanz7 I love Barnes & Noble! Too bad they had to go. 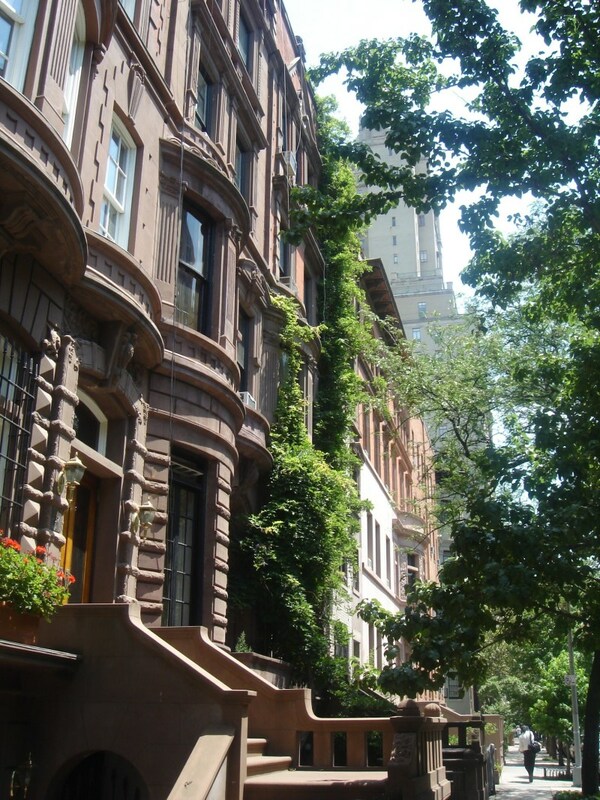 "A Pretty Neighborhood Filled with a Sense of Community and Characrter"
The Upper West Side is my absolute favorite neighborhood of the city and the part I will always call my true home no matter where I may venture. 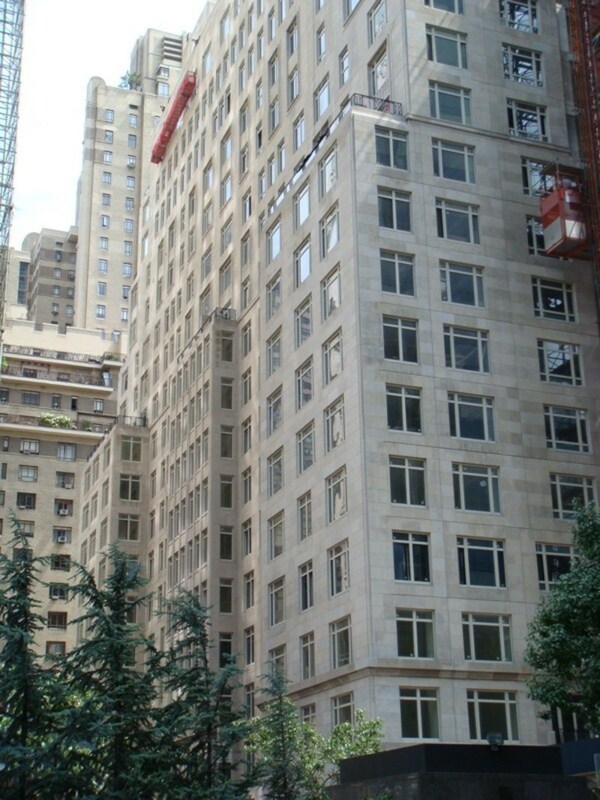 It is bordered by 59th Street to the south and 110th the north, from Central park West to the Hudson River. 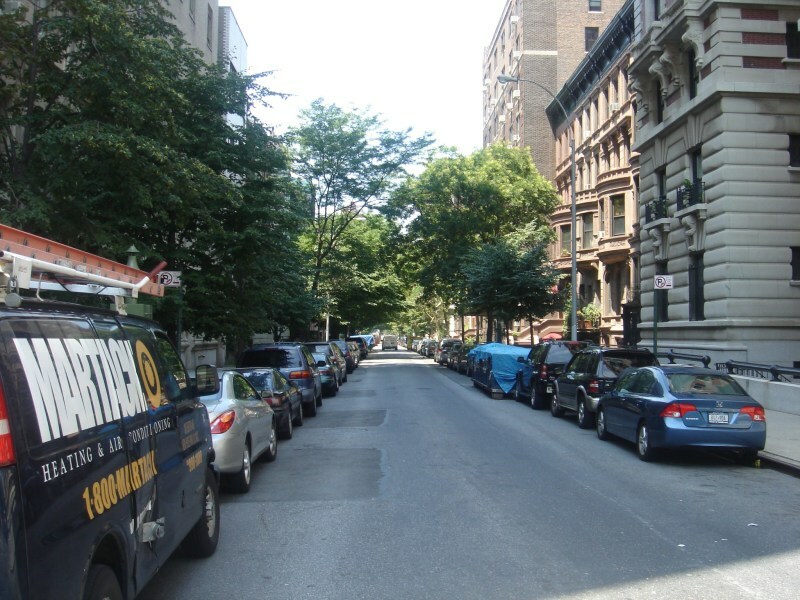 The Upper West Side has a very different vibe than the Upper East Side and when I ask people to put this difference into words, the most frequent answer I get is that the neighborhood offers a "real sense of community." Area residents are very friendly and welcoming to the newcomer and tourist alike. 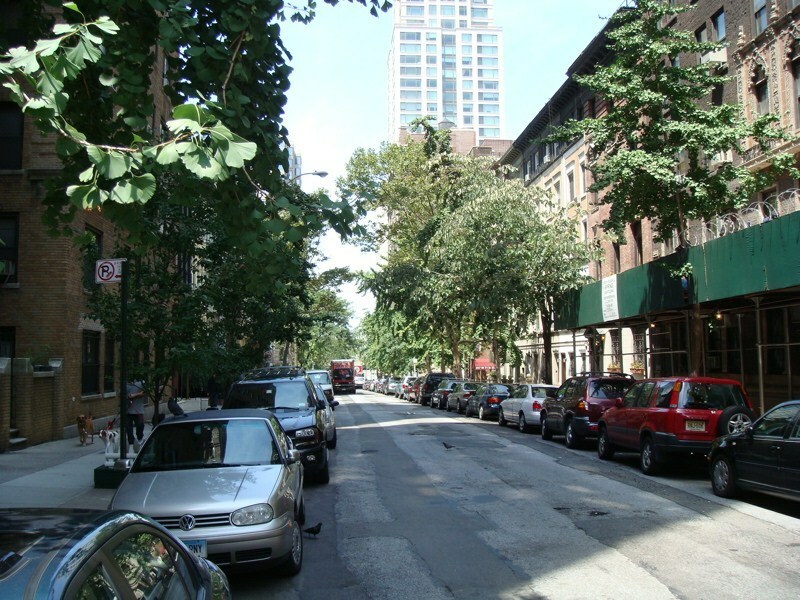 While the neighborhood has roots within the Jewish community, it is now has much more diverse population with an eclectic mix of the intellectual and cultural. 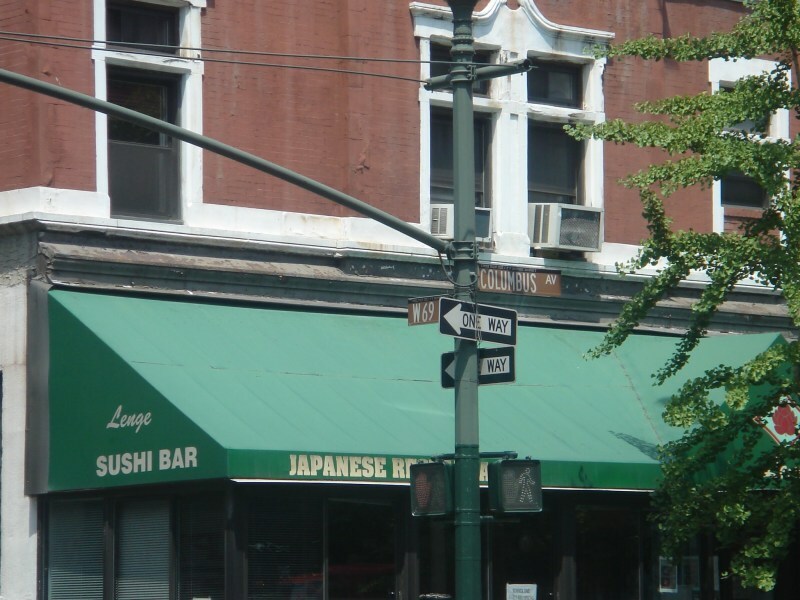 There are still are few Jewish eateries like Lenny's on Columbus Avenue between 83rd and 84th Street and Artie's on Broadway and 83rd Street. 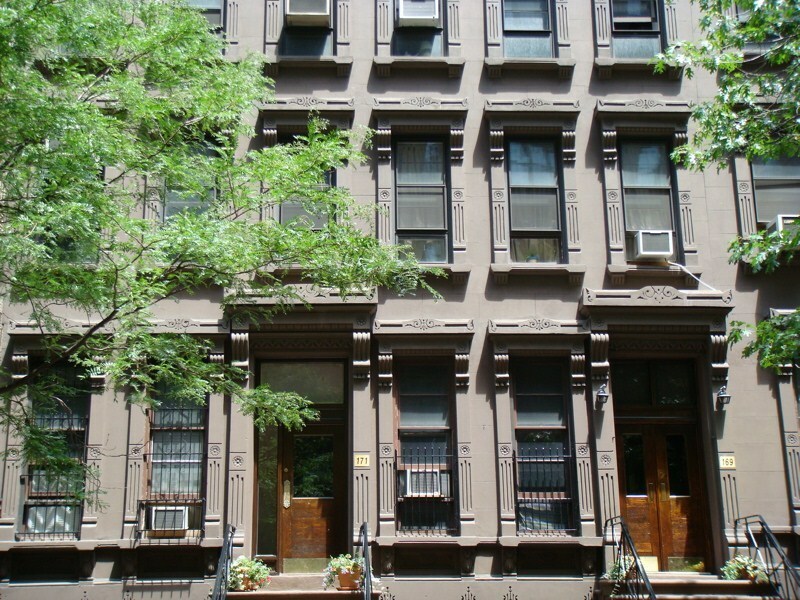 Apartments here are small and expensive but you may find some good deals once you venture into the 90s and 100s. 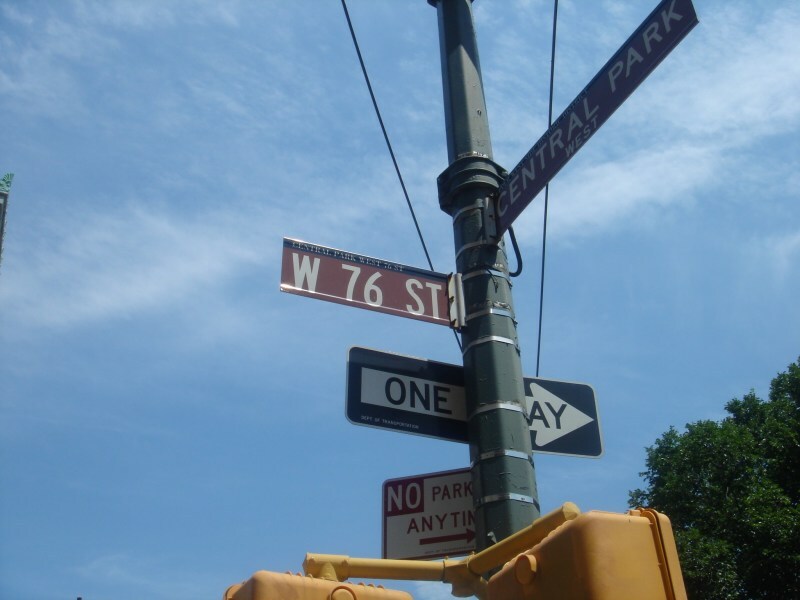 There are a few museums in the area including the Museum of Natural History is on 79th Street and Central Park West. The Museum is renowned for its exhibitions and scientific collections and offers a wonderful combination of the educational with the fun for both children and adults. 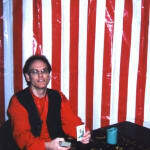 Special events are held throughout the year and it is a very popular destination for class trips. Attached to the Museum of Natural History is the Hayden Planetarium a fun place to explore the world of astrophysics with special presentation, lectures, and demonstrations for adults and children. A spectacular new show is Journey to the Start, narrated by actress Whoopi Golderberg. The half-hour show spans billions of years in explaining how the universe was created, beginning on Earth and extending beyond our galaxy before returning. 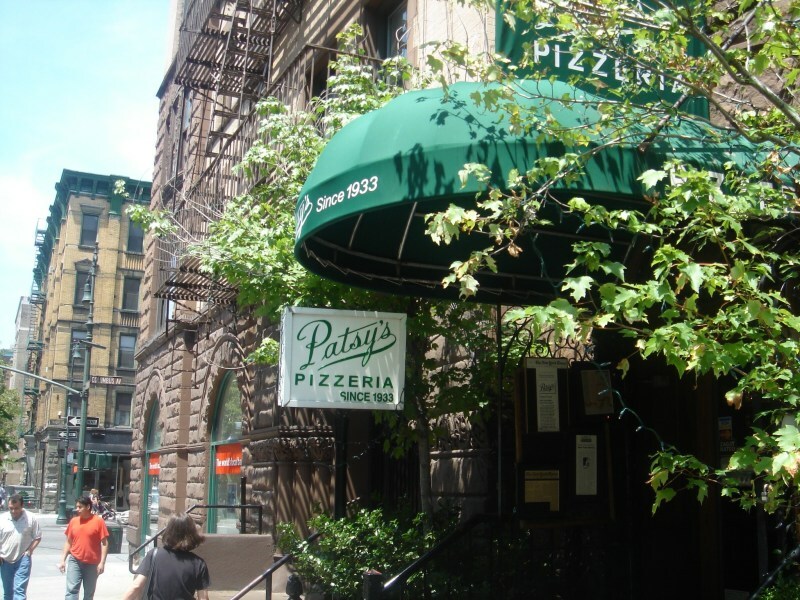 The Upper West Side offers a wide range of dining experiences with high priced restaurants, but also many family-owned venues that provide some of the best but moderately food in Manhattan. 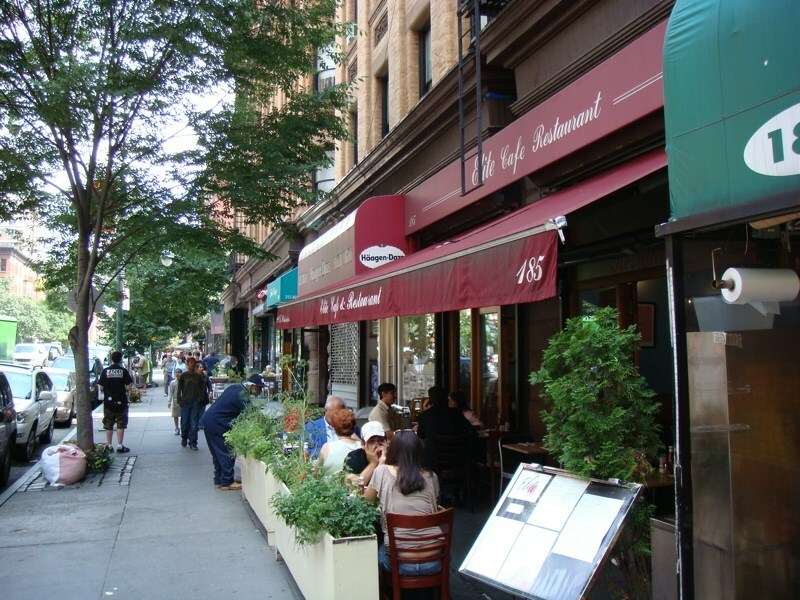 Sarabeth's on Amsterdam Avenue between 80th and 81st Street is an especially popular brunch venue and in the warm weather the sidewalk is filled with patrons waiting for a table. 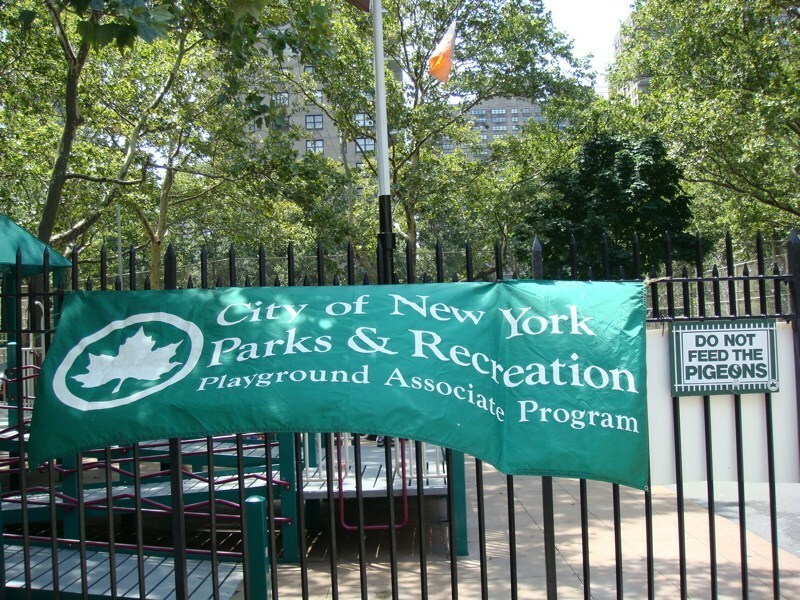 The neighborhood is nicely situated between two of the best parks in the city: Central park and Riverside Park. I prefer Riverside Park as it is a bit less touristy and quiet than Central Park. a great place to take a nice walk or bike ride along the Hudson. 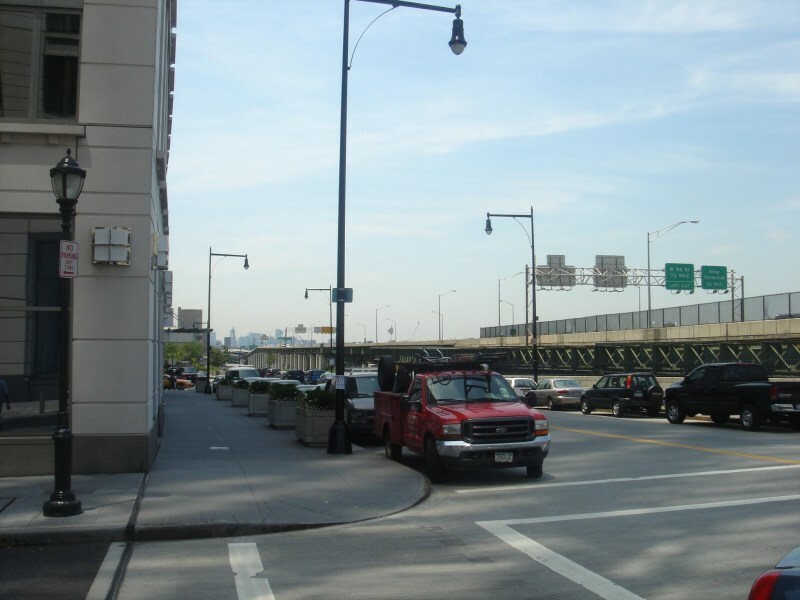 The Riverside Park promenade extends all the way down to Battery Park City and up into Harlem so is a great place to take a nice walk or bike ride along the Hudson. 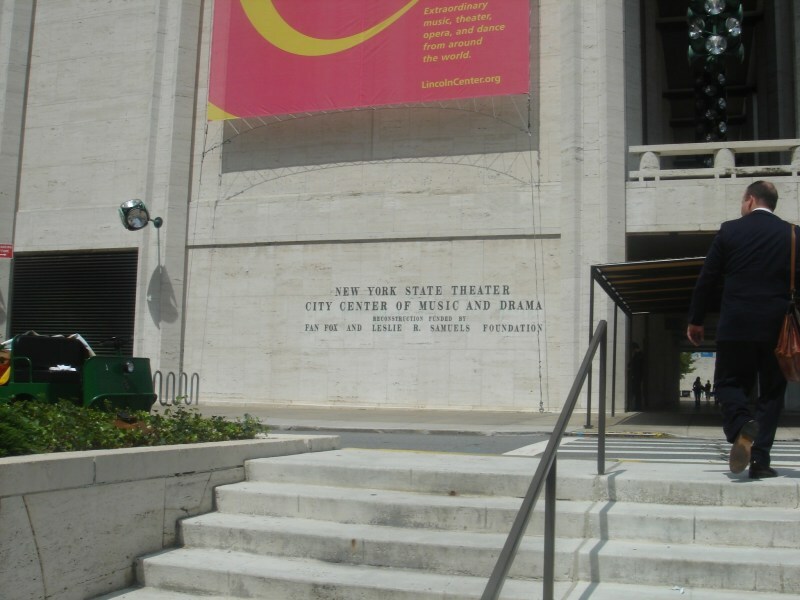 Lincoln Center for the Performing Arts on Broadway between 62nd and 65th Streets offers some of the best music, ballet, opera and jazz performances in the city. During the warmer months Lincoln Center Out-of-Doors offers free music performances from many different cultures. 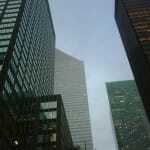 There is also the Walter Reade Film Forum of the Film Society of Lincoln Center/Walter Read Film Forum on 65th and Broadway celebrates American and international film by new and established filmmakers. The Film Society seeks to enhance awareness and appreciation of diverse film perspectives among a broad audience. If books are your things, the best Barnes & Noble bookstore in the city is on 66th and Broadway. 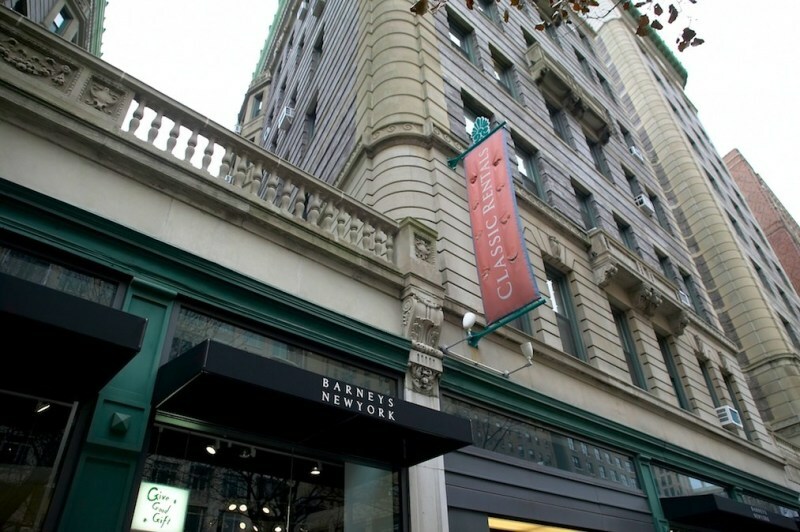 The store offers three floors of books with the top floor being devoted to a Barnes & Noble Cafe (Starbucks). I can (and have) spent hours here on a chilly winter weekend reading the paper and a few magazines. I love the culture of B&N with everyone spread on the floor with some reading material or their laptop. 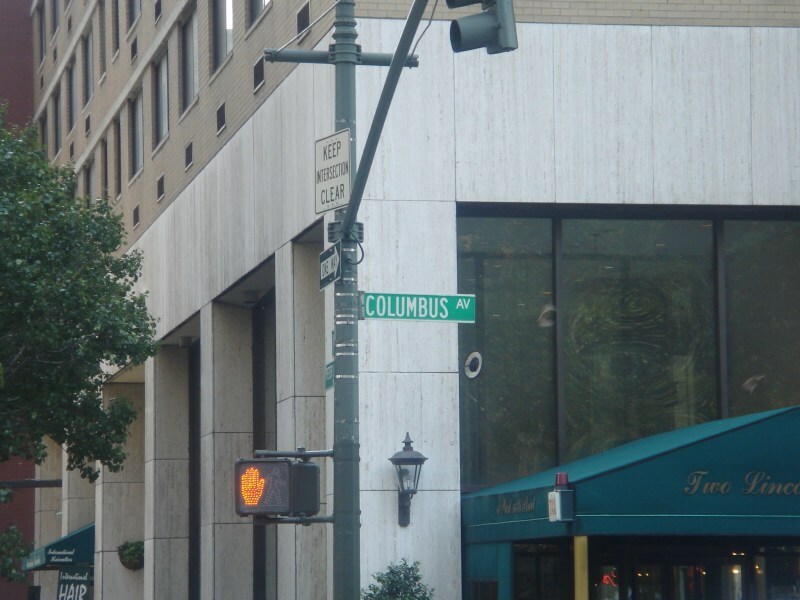 The neighborhood also has many wonderful boutiques along with some larger stores, such as the Apple Store on Broadway and 65th, Patagonia sports store on Columbus Avenue and 80th Street, lululemon athletica, athletic wear on Columbus and 65th Street, and Sephora on Broadway and 76th Street. 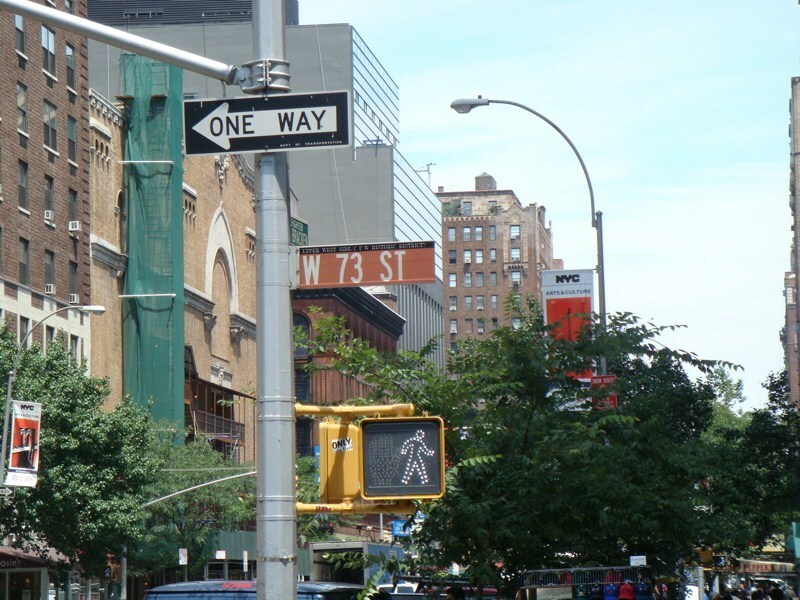 There are also street festivals every spring and fall that generally run from 72nd to 86th Street on Broadway and offer all kinds of goodies, from watches to oriental rugs, along with a variety of foods. 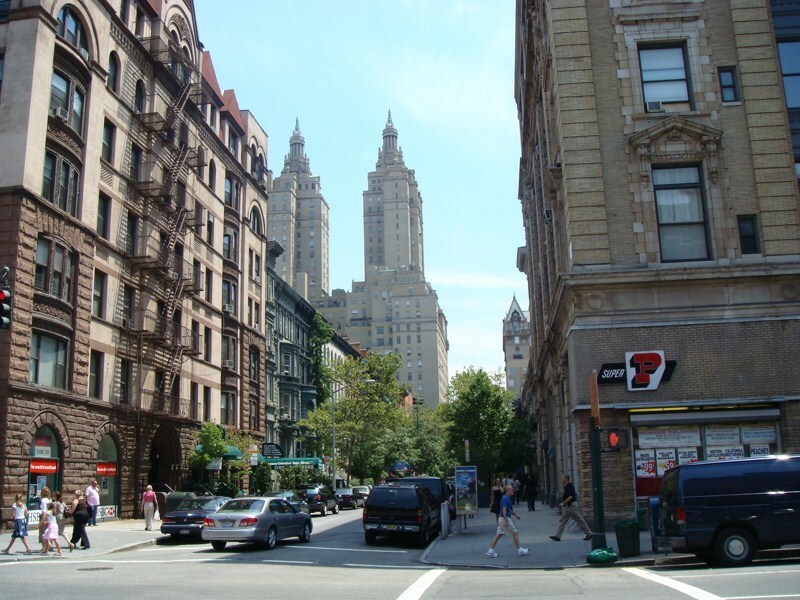 The Upper West Side is well served by subway with the 1,2,3,B,and C making several stops in the area. 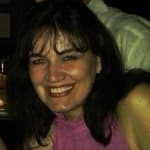 Debbie1328 Barnes and Noble at 66th and Broadway is now closed. It's been replaced by a Century 21 discount clothing store. SnorkleD an older crowd? i think you meant that for the ues..
"Lovin the Upper West Side"
Unlike most neightbors in NYC, the Upper West Side probably has one of the most diverse set of characteristics: it's easy to commute to, offers a wide array of shopping choices (from dining, food, clothing, books, etc), makes it ridiculously simple to work in Manhattan because of the easy commute, and has a down-to-earth easy goingness about it. 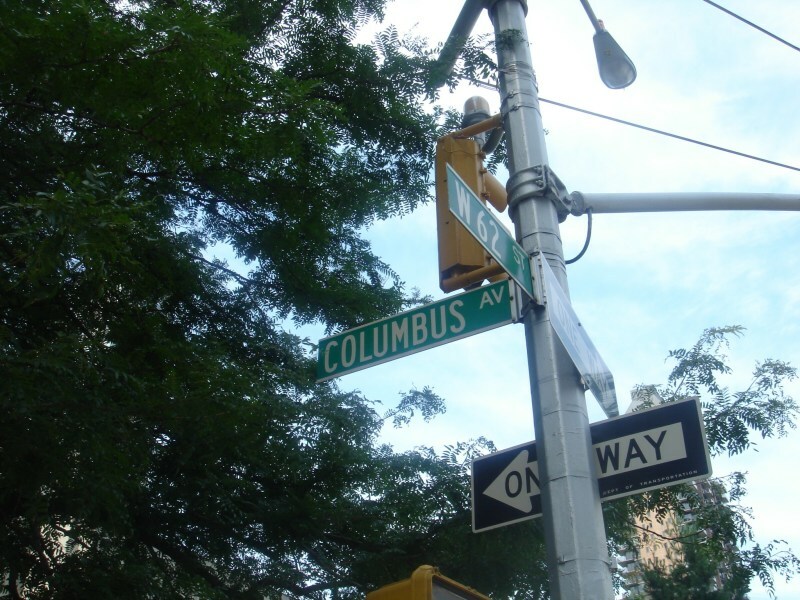 Home to some of the best markets along Broadway as well as boutiques on Columbus, you can always find something to do here. Street fairs abound in the summer with whole avenues closing off to accommodate street vendors. One will enjoy watching the balloons get filled on Columbus avenue the night before the Thanksgiving Day parade. 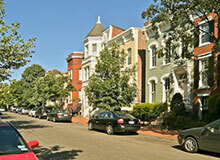 Although pricey, the area is definitely a great place to buy into and steadily holds its value. 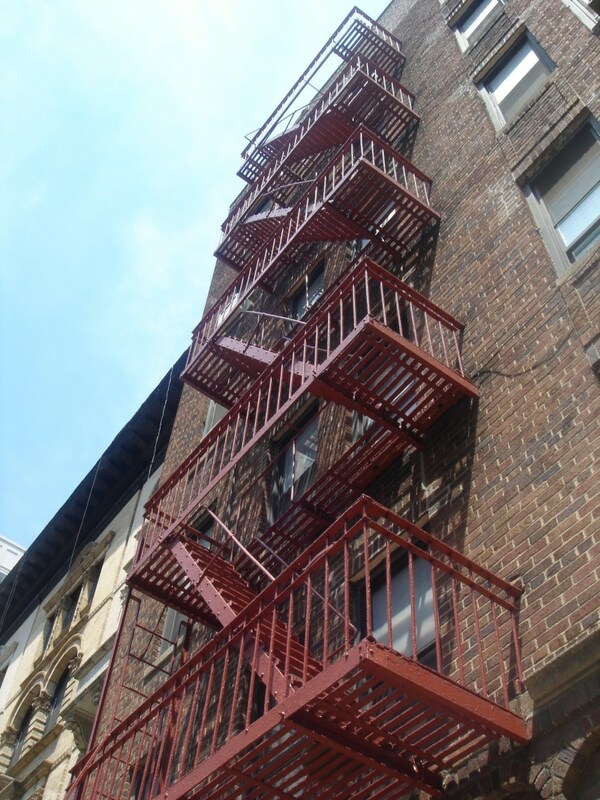 Apts will be small and cramped but as most NYers can attest to, that's just life in NY. We live in small spaces and look for space saving furniture to economize on every inch of available space. We feel privileged to live here, and we try to keep it clean as best we can. 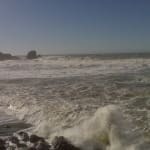 There is lots to do in the area. Things can be a bit pricey but if you want cheap, you can always walk downtown to Hell's Kitchen for a bargain meal or drink. 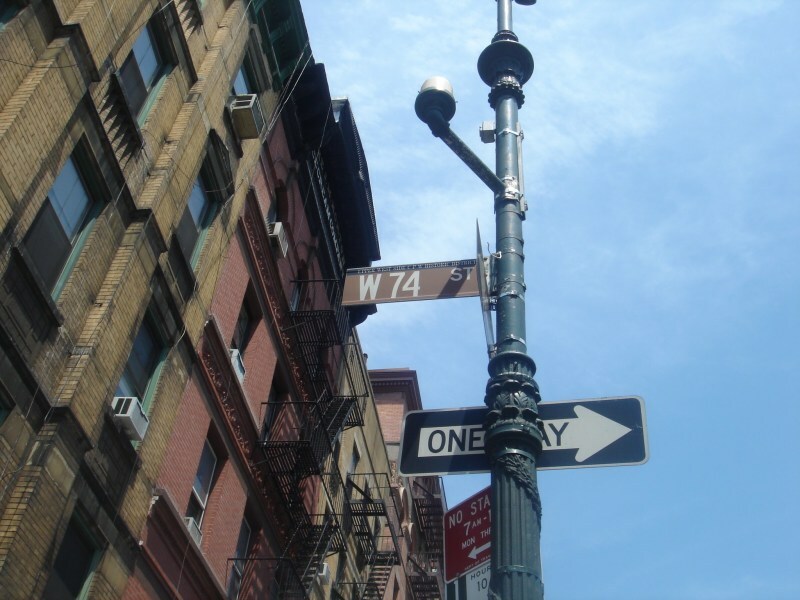 "Ideal for culture mavens and those looking for off-the-beaten-track dining"
The "quintessential New York City neighborhood" depicted in TV's Seinfeld, the Upper West Side embodies a particular kind of New York ethos - intellectual, ethnically diverse, and culturally rich. While the neighborhood's traditional Jewish, middle class roots have given way to a less homogenous culture, there's still plenty of kosher fun to be had: delis like Barney Greengrass, Lenny's, and Artie's still dot the landscape. But the fun doesn't stop there - from Brazilian fare at Calle Ocho near the Natural History Museum to paella on Broadway, the Upper West Side's culinary scene is perhaps the most underrated in the city, with unassuming, inexpensive, often family-owned eateries that provide some of the best, least fussy food in the city at some bargain prices. 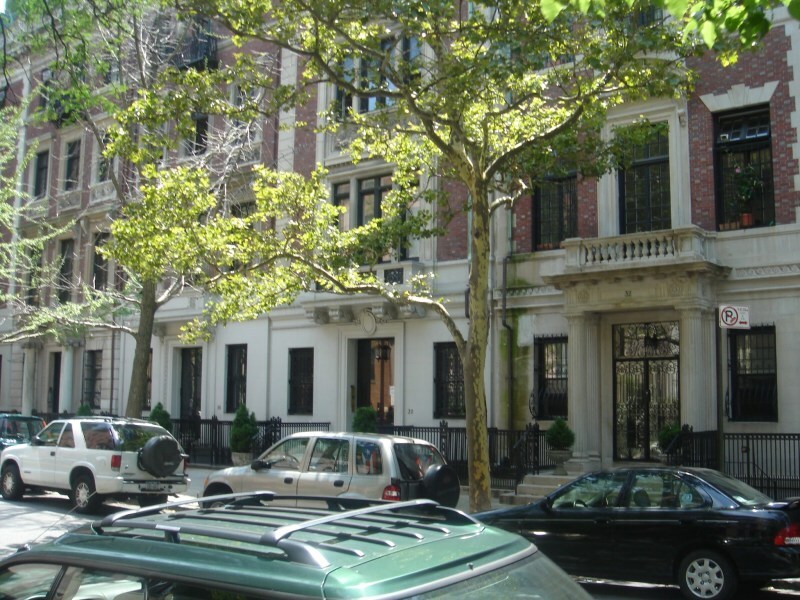 The Upper West Side is also a haven for culture vultures. The Natural History Museum, bordering Central Park, is a perfect place for families with kids looking to combine educational value with the all-important fun factor, and its dinosaur bones and recreations of scenes from Ancient History are sure to be thrilling for adults, too. The nightlife here mostly centers around Lincoln Centre, where various high performing arts spaces offer some of the best music, ballet, opera, and jazz in the city, as well as the arty Walter Reade Film Forum, showing new art house cinema and stalwart classics, and the nearby, equally arty Lincoln Square, showing newer fare. 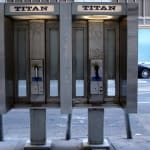 For those in the mood for a blockbuster, Lincoln Cinemas, a few blocks north of Lincoln Centre on Broadway, is one of the most enjoyable cinemas to visit: each "hall" has a themed name and a custom-built facade evoking Old Hollywood. Or check out the red-and-gold velvety interiors of the classic Ziegfield Theatre. If you're feeling athletic, be sure to check out the park west of the West Side Highway - a mix of bike path, sports facilities, piers, and park lanes that's arguably New York's best-kept day-trip secret. 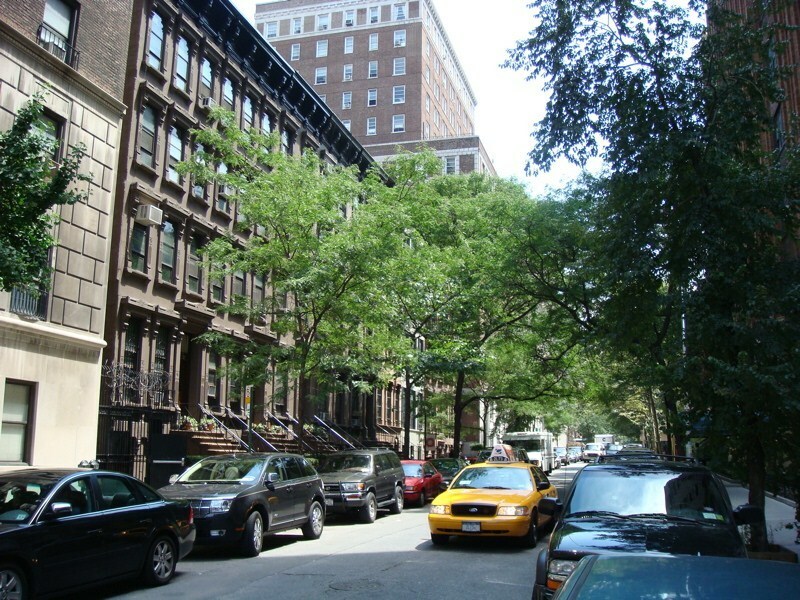 "One of the Best NYC Neighborhoods - Something For Everyone"
The Upper West Side is truly a New York City neighborhood. 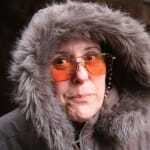 The residents, though increasingly well off, are real, simple, professional New Yorkers. 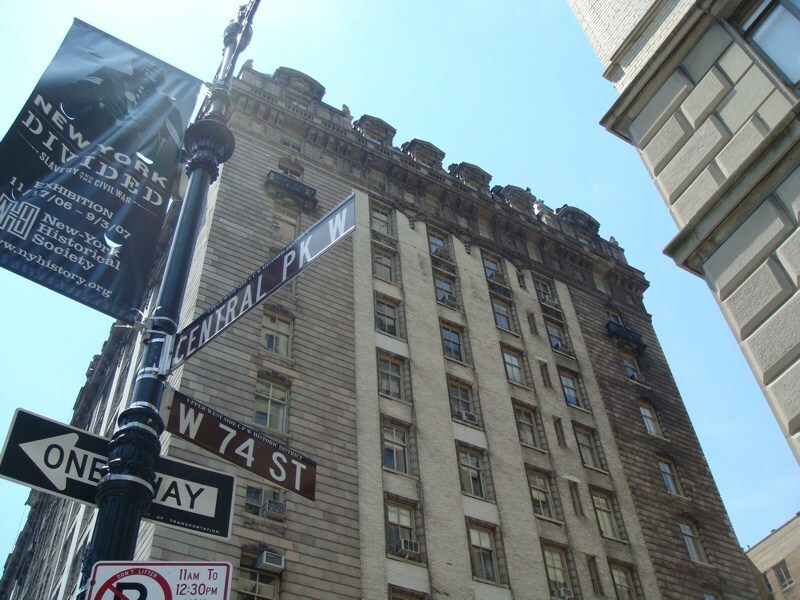 The area is great to live in, right next to Central Park, and offers a great quality of life for the price of the high rents in the area. 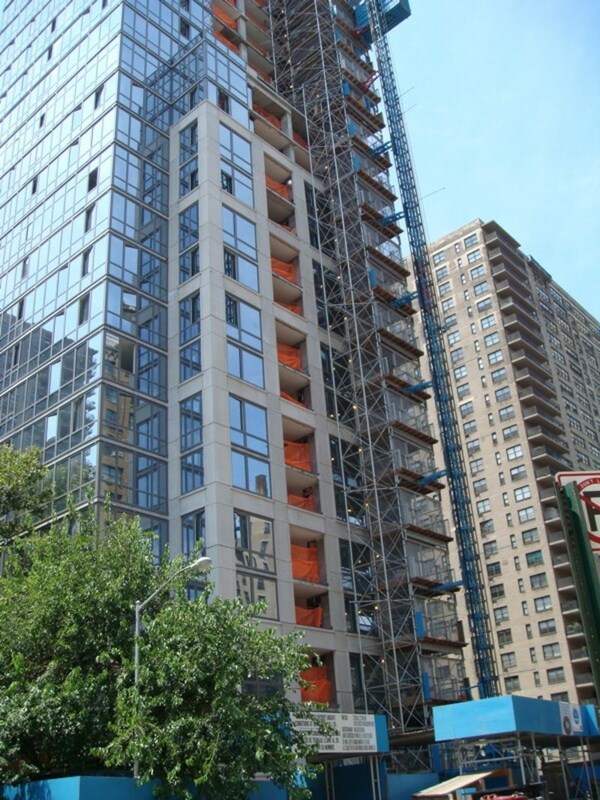 If you are thinking of moving to the Upper West Side, be prepared to shell out quite a bit. 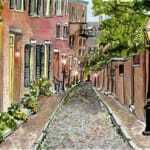 At the same time, be prepared to live in a truly "nice" neighborhood with good food, good people, and good stores. 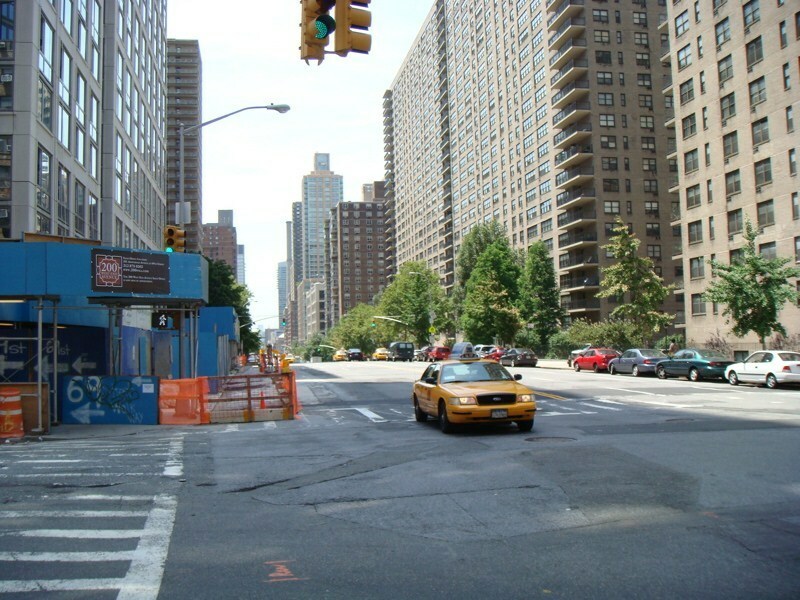 The area is very accessible via public transportation as three train lines run along the western side of Central Park and two run along Broadway. There are definitely some problems but overall, not a place I would hesitate to live. 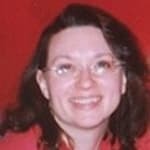 There is not a lot to do at night except go out to eat and there is some crime, especially near the park and further up north. The only real thing that stops people from moving here is what stops them from moving anywhere in Manhattan: the high rents. 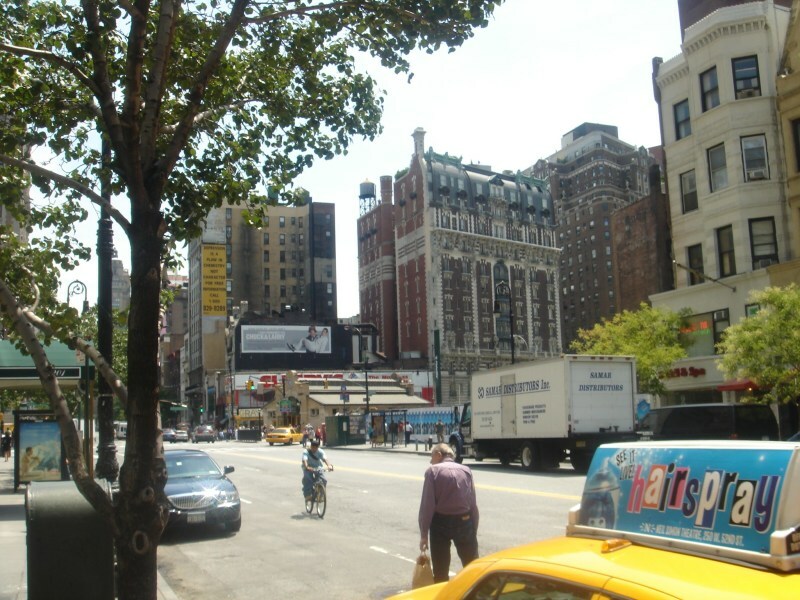 For tourists, the area is right next to Central Park and has some great restaurants. 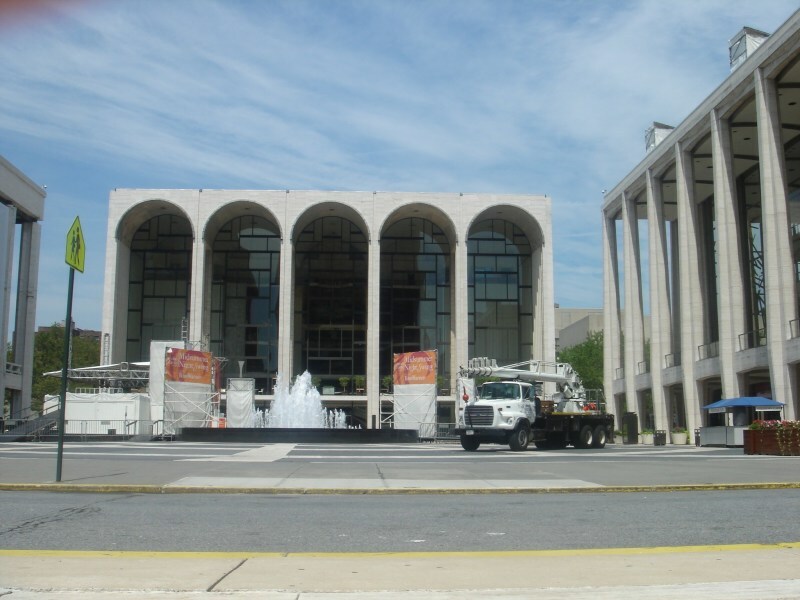 Lincoln Center and its 12 performing arts stages, the Beacon Theater, the Kaufmann Center, and the Symphony Space are all here. 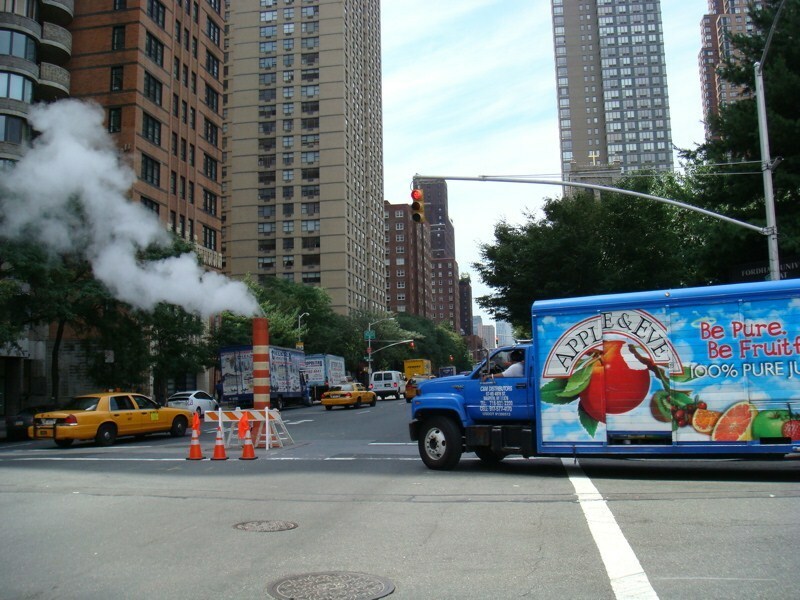 The area is also home to the American Folk Art Museum, the Museum of Natural History (and Planetarium, my favorite part), The Children's Museum, and the New York Historical Society. Great place to live (for a price) and a great place to visit. 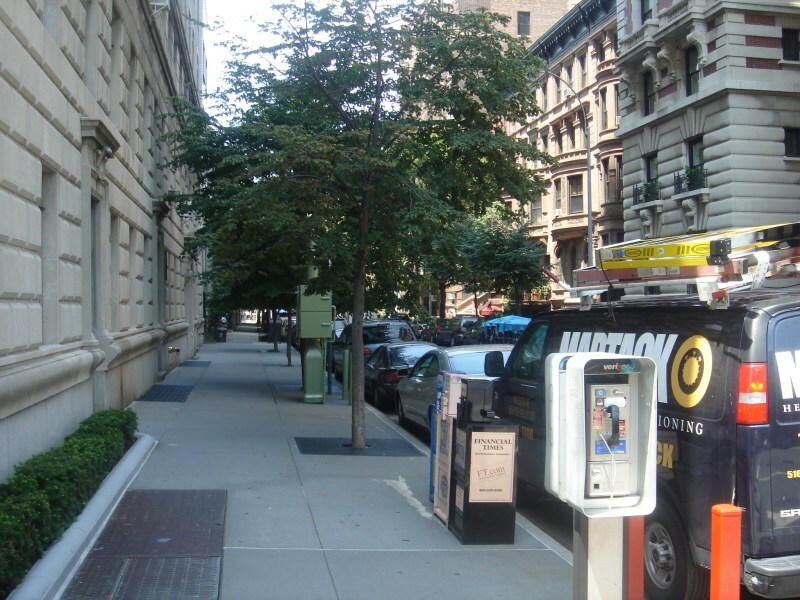 "One of my favorite Manhattan neighborhoods"
The Upper West Side is one of the neighborhoods in Manhattan where I'd most like to live. 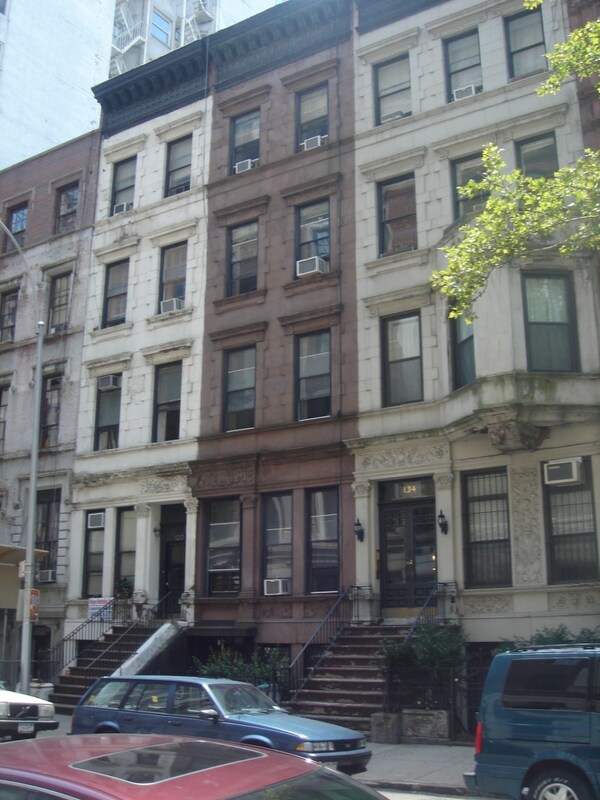 It has become a bit yuppie over the years, but it's still more hip and has more character than the yuppie Upper East Side. It's also more family friendly. 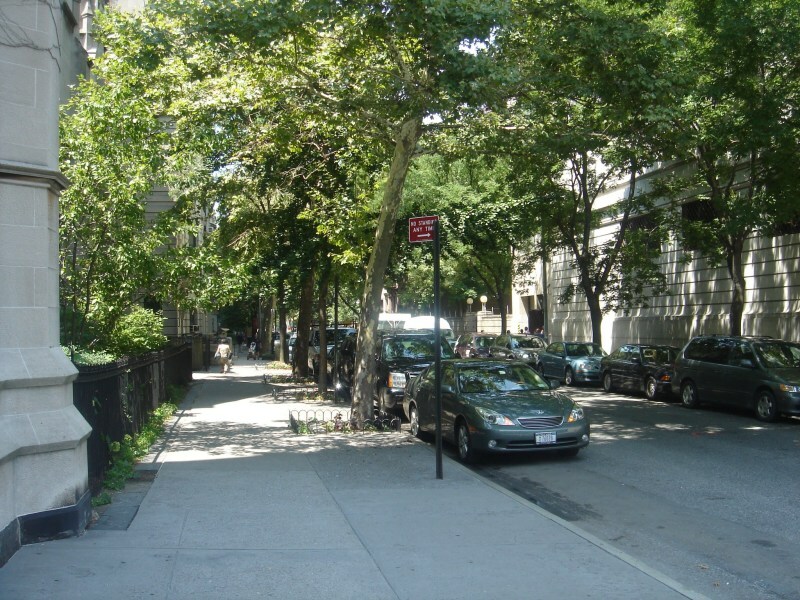 It's a large neighborhood running from the western side of Central Park and 59th Street up to 125th Street. Rents have gone up in this area since the 80s, and that makes it difficult to find reasonably priced apartments. 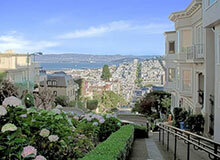 It's simply a very coveted neighborhood. The restaurants in this area can't be beat. There are tons of great ones, and there's terrific shopping as well. You'll find plenty of grocery stores, chain stores, and little specialty shops. Culturally, it's also a wonderful neighborhood. The American Museum of Natural History (my favorite New York City museum) is in this neighborhood, along with Lincoln Center (home of the Metropolitan Opera and New York City Ballet), the American Folk Art Museum, the New York Historical Society, the Beacon Theater, and Symphony Space, just to name a few. 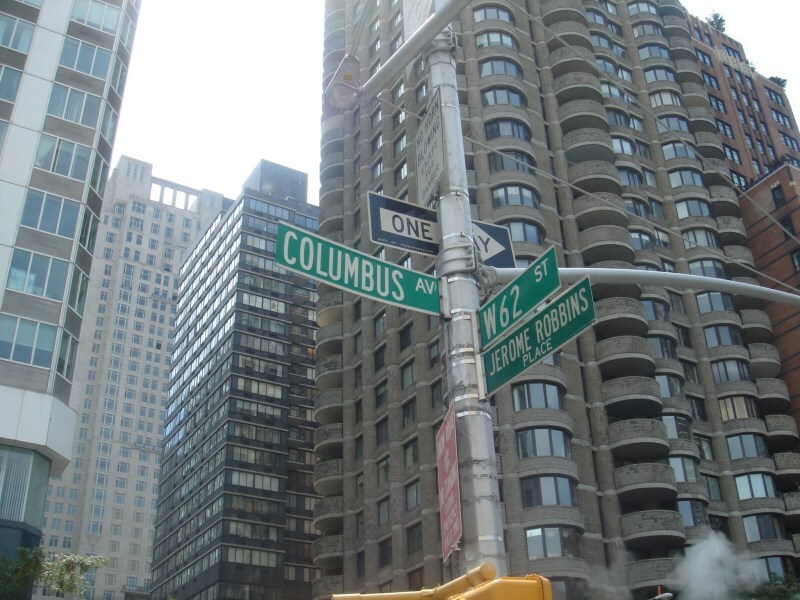 Columbus Circle is also in this area. 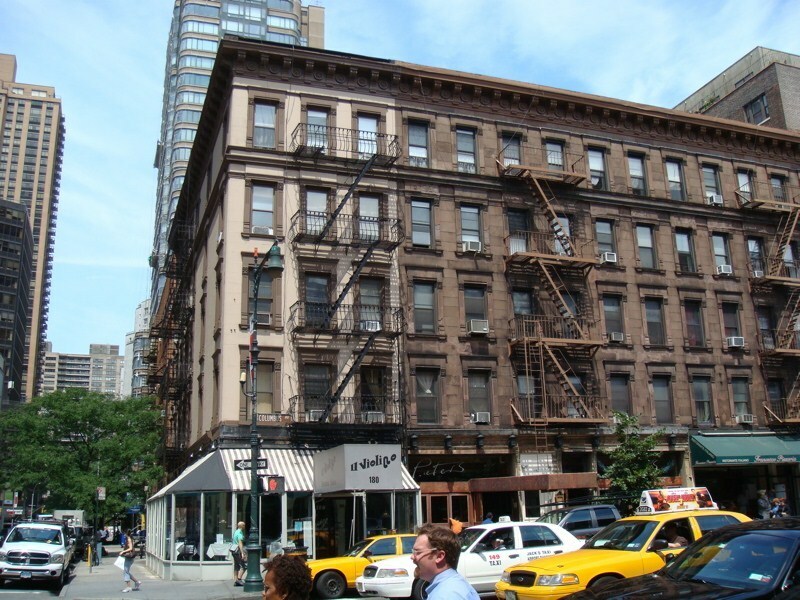 The Dakota, where John Lennon was shot, is in this neighborhood, and as you move farther west, it really does feel like a neighborhood – moreso than most areas on the Upper East Side. I hate to compare, but I just prefer the west even though the longest I've lived in any Manhattan neighborhood was in the UES. And I really don't think it's a "grass as greener" syndrome. 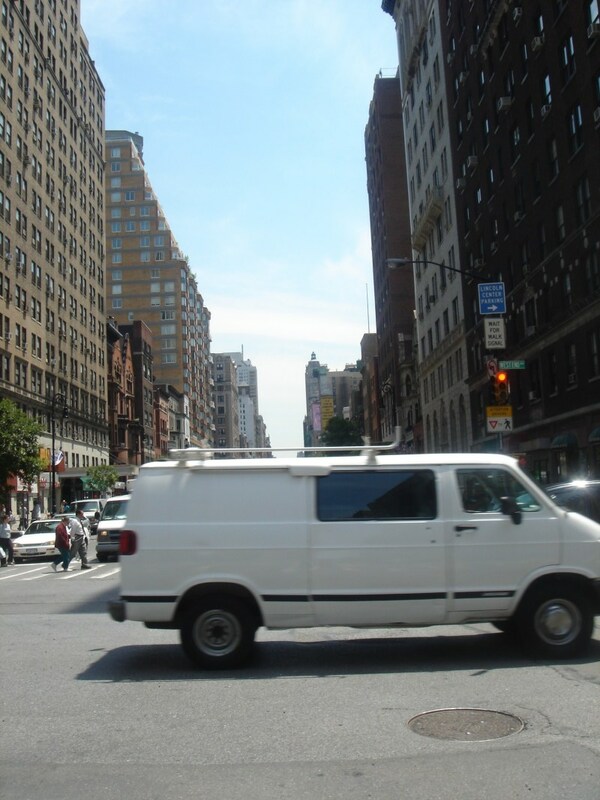 I always feel good when I'm on the UWS. 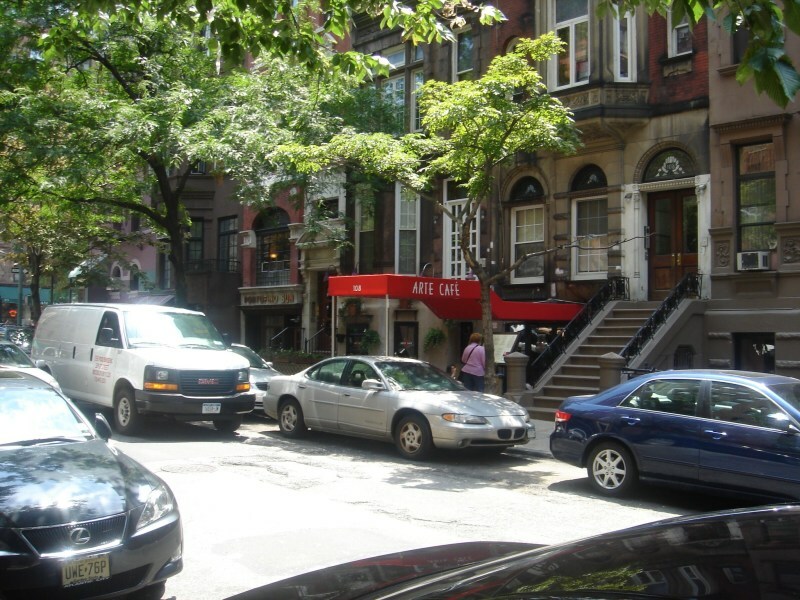 You've seen the beautiful Upper West Side depicted in movies as this darling neighborhood where creative types, professionals and families come together. Well, it exists. 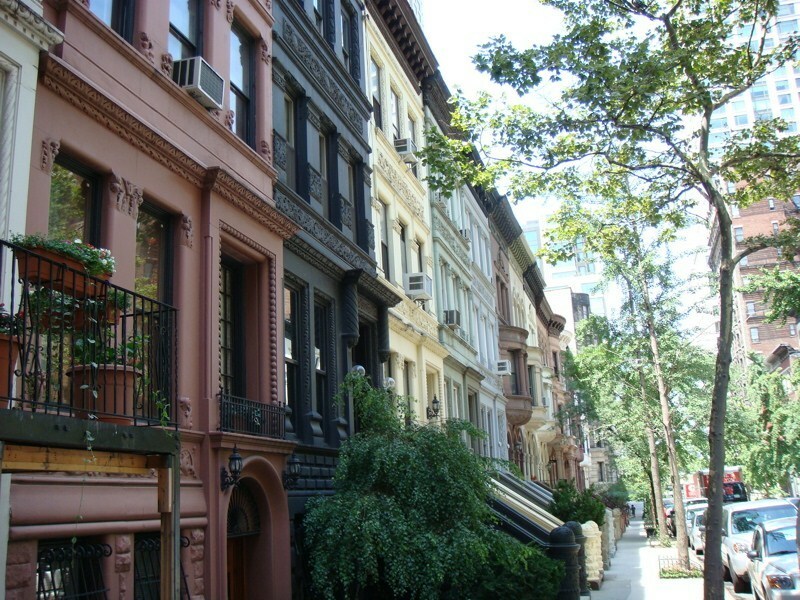 From commercial strips of chain stores to quaint rows of brownstones to side streets of boutiques and hidden gem restaurants, the Upper West Side is both charming and convenient. 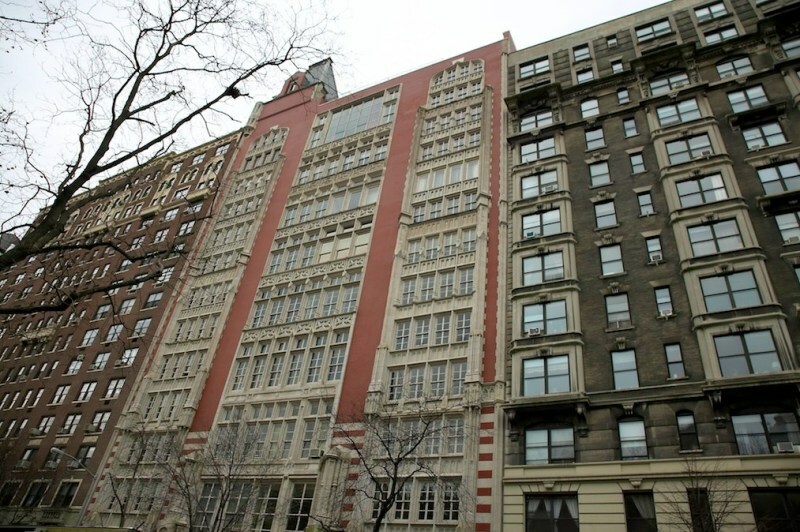 It's one of the best places in Manhattan to raise a family, since the rents are, while on the higher side, not astronomical and there are plenty of good schools, parks, etc. 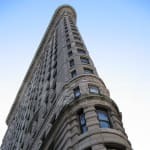 There's tons to do there, from Central Park and the Museum of Natural History to Lincoln Center and its adjacent theaters and independent movie theaters. Restaurants in the area represent every part of the world, whether you find them on a sleek, bustling avenue or a charming little side street. 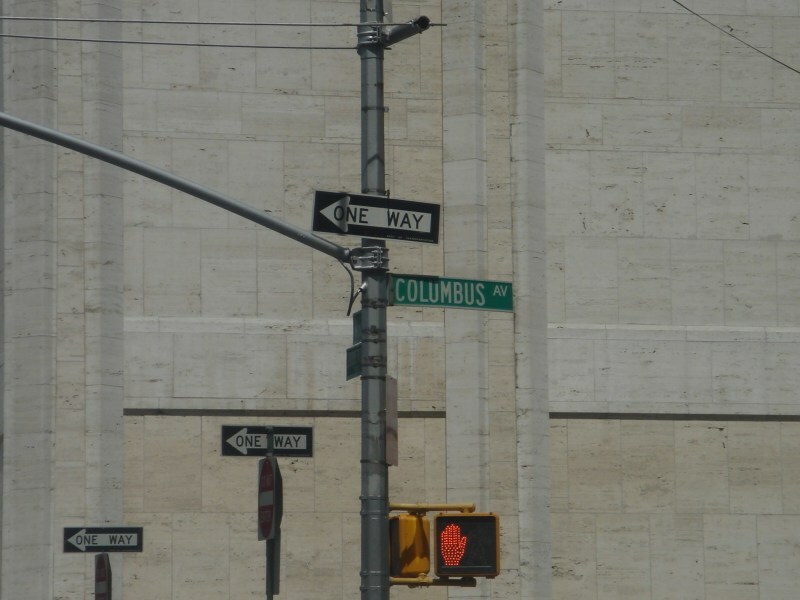 Columbus Circle acts as a commercial shopping hub, complete with a sleek mall and other nearby stores. If you're looking for something more off-the-radar, just roam any street for a vintage store or rare used book shop. Amsterdam is one of the best avenues for food and drink no matter what time of the day - from excellent brunch spots to bars that really get the party going. With all of this to do, tons of conveniences everywhere you look, and great transportation anywhere else you need to go, it's a wonder why people still live elsewhere! 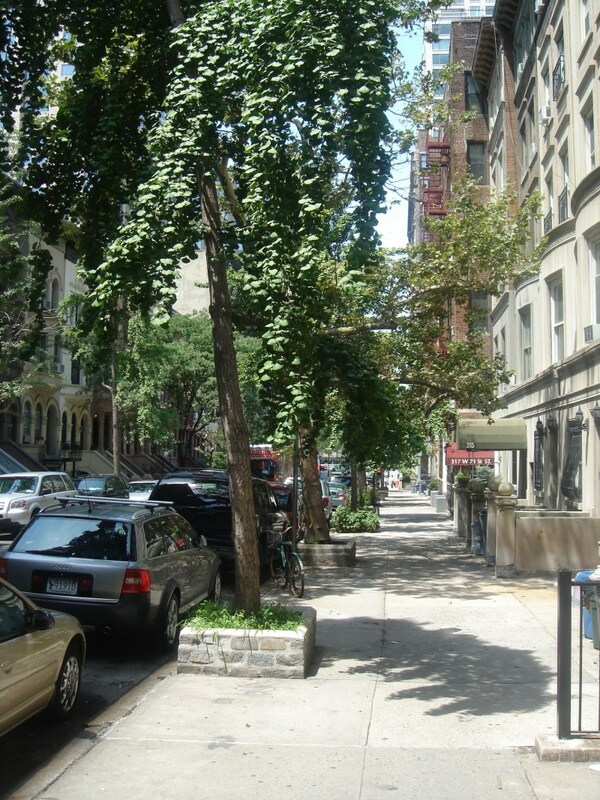 "Where New Yorkers Go To Breathe"
The Upper West Side is my favorite New York neighborhood. Whenever I'm there I'm instantly relaxed. Maybe it's the comfort of knowing I'm equidistant from Riverside and Central Parks (two of the best parks, maybe, anywhere), or that there's always at least one table available at any of the 24-hour diners (try City Dinner, you'll like it), or just the quiet of the tall, elegant side streets that make me feel like I'm in The Age Of Innocence, a vintage Woody Allen film, or just an episode of Seinfeld, depending on the feel of the moment. 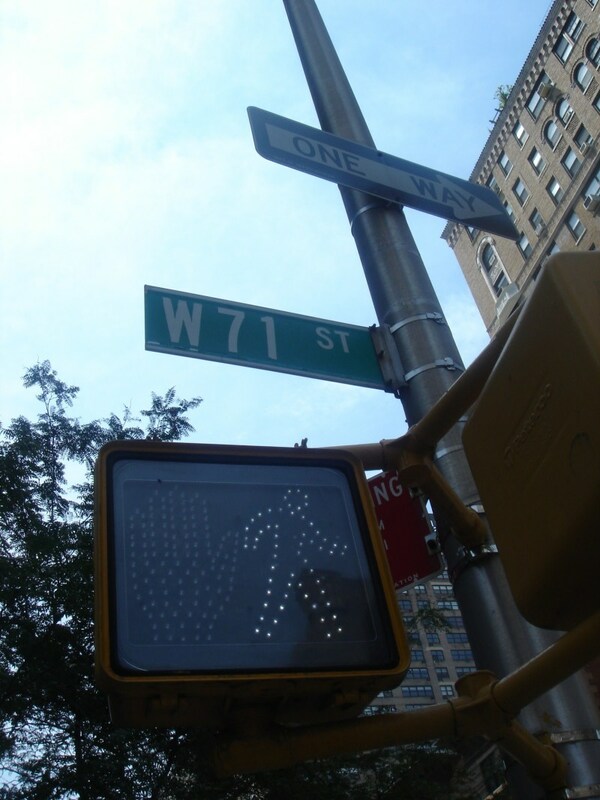 Whatever the reason, the Upper West Side is where I go to recharge and refocus. Sure, there's no nightlife, but that's the point. You don't go to the UWS to be seen, you go to get away. You go for calm, an H&H bagel, or shoes (there are fantastic shoe stops all along Amsterdam). You can live here before you have a family, while you have a family, and after you have a family. It's just far enough away from the rest of the city to catch your breath, but even Brooklyn isn't that far away if you jump on the 2/3. The city is at your fingertips without being directly in your face. Good shops, decent (and accessible) restaurants, this neighborhood is best for Sunday mornings, not Saturday nights. 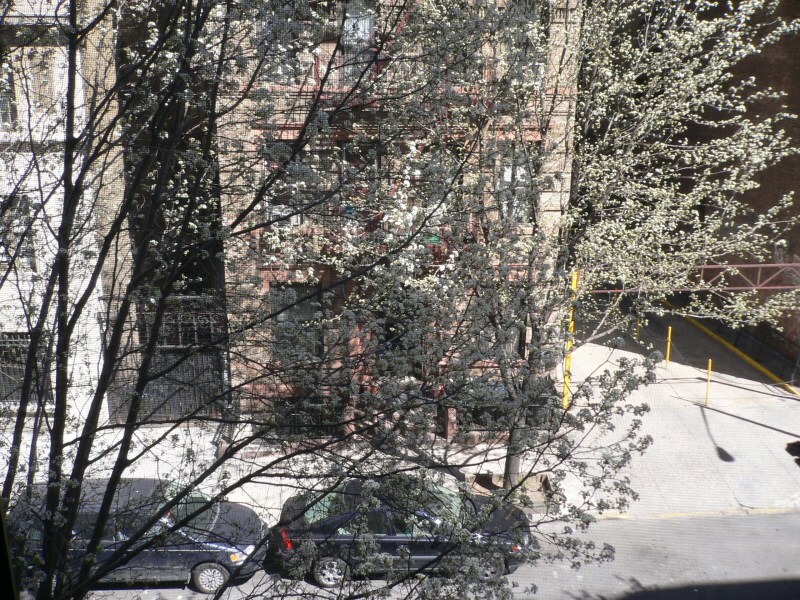 But after a crazy night downtown, you'll be very glad you live on the Upper West Side. 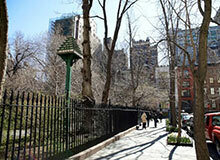 "Great neighborhood for the artsy, intellectual type"
The Upper West Side one of my favorite places in the city. I worked there for years and loved the neighborhood every day. 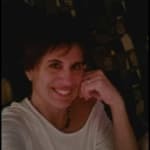 I used to take breaks in Riverside Park which, in the springtime, is more beautiful than any park in Manhattan, including Central Park. 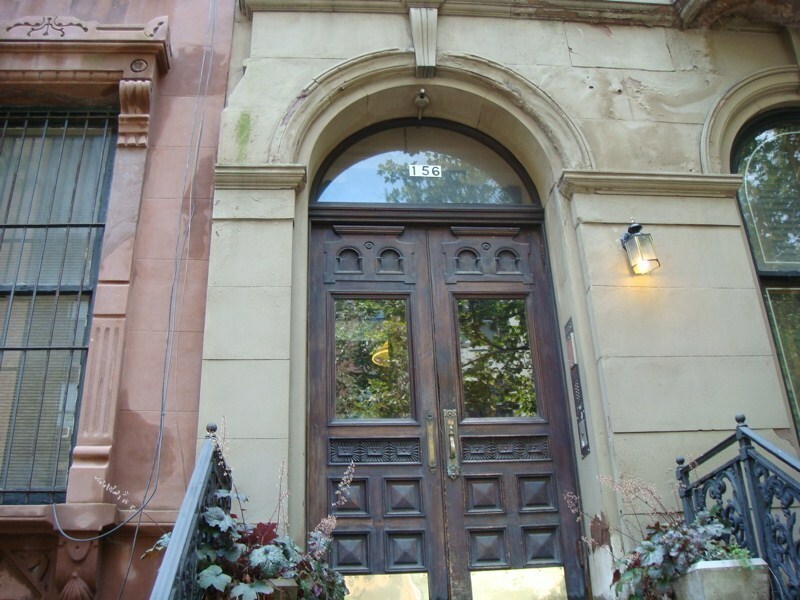 The UWS is home to many writers and artists and doctors. This lends the neighborhood a really artistic feel. While it’s not readily apparent in terms of public art or the number of museums (though there are a few excellent galleries), the spirit of it prevails. This neighborhood is artistic without being ultra hip. This is because of the tremendous cerebral culture reigning over the neighborhood. There’s a huge Barnes and Noble, small independent and used bookstores, and tables and tables of books sold right on the street. 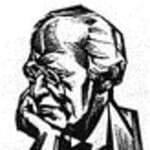 Many residents are highly educated professionals and intellectuals. The neighborhood is very Jewish, but not as much as many people believe. Things close earlier on Fridays, yes, but some things are hopping on the weekend. For instance, blocks and blocks of Amsterdam are crowded with bars, some suitable for young people but some the more subdued establishments favored by a more mature demographic. The neighborhood has wonderful schools and is great for families. Strollers can be seen all day parading up and down the streets. 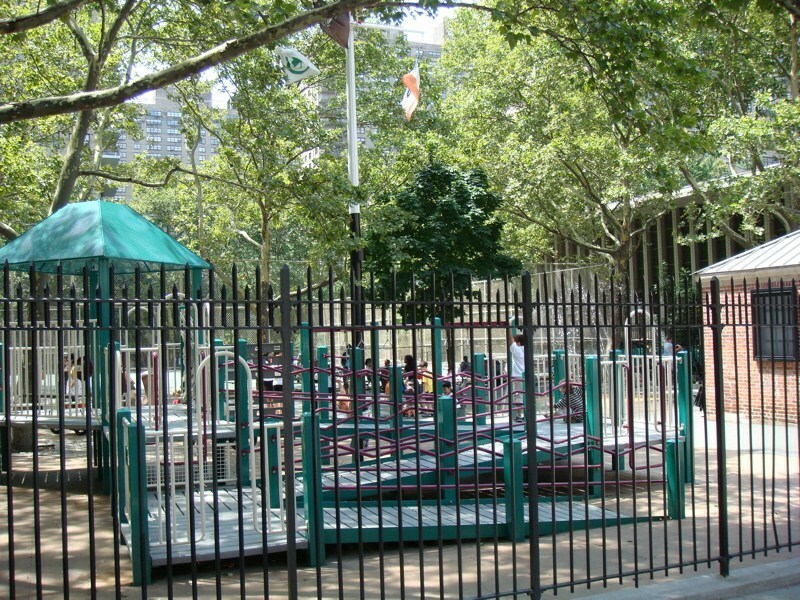 There are tons of playgrounds, including wonderful places in Riverside Park. 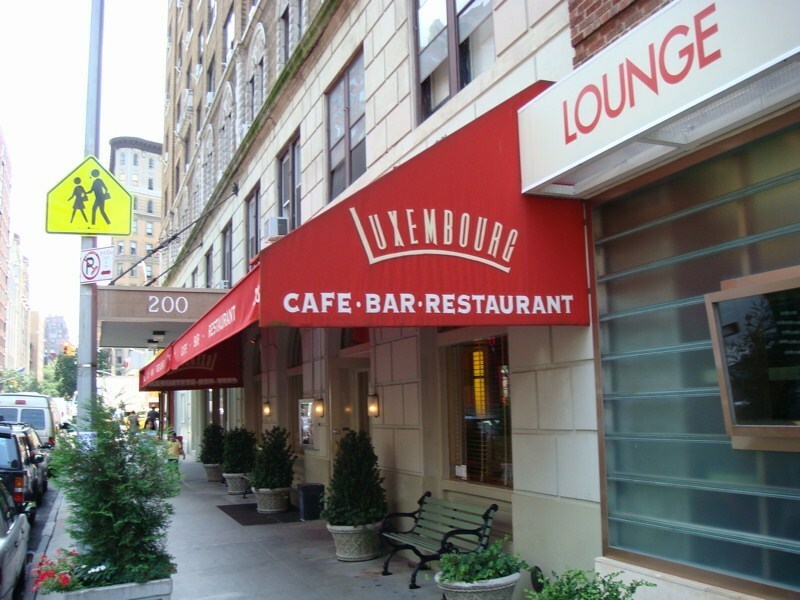 The Upper West Side is great for almost anyone. 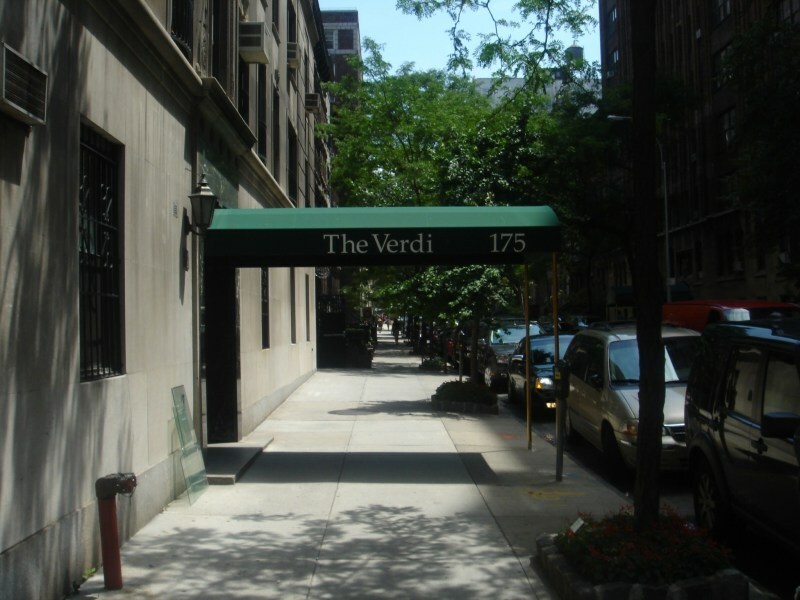 "Raise hip, cultured New York type children here"
The Upper West side of Manhattan is a locale, which has long been popular with the “intellectual” and “cultural” set of New York. 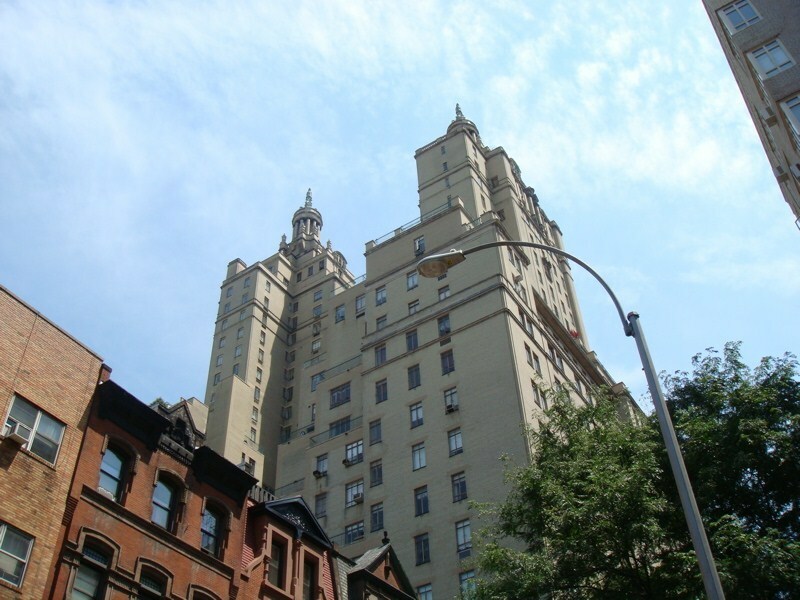 Luminaries from the celluloid world such as Diane Keaton, Dustin Hoffman, and Michael Douglas have called the Upper West Side home at some time or the other. 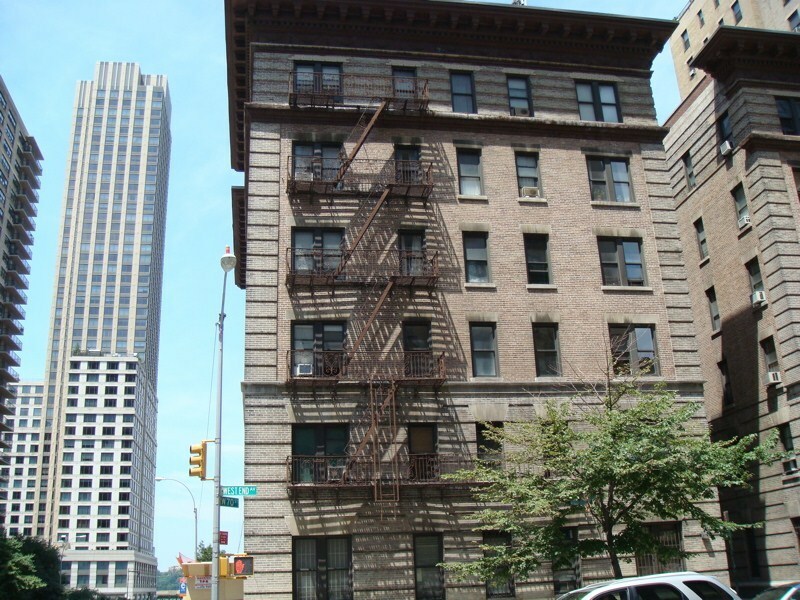 Perhaps the area’s most famous resident was John Lennon who lived at the Dakota, a land marked building which is located on 72nd street and Central Park West near the 72nd Street traverse. 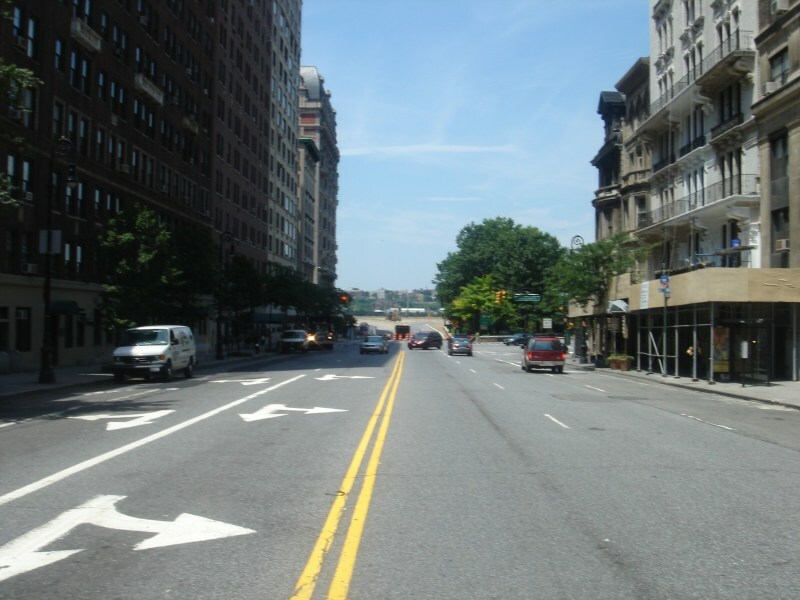 The Upper West side stretches from 59th street to 110th and has Central Park and Riverside drive as its borders. 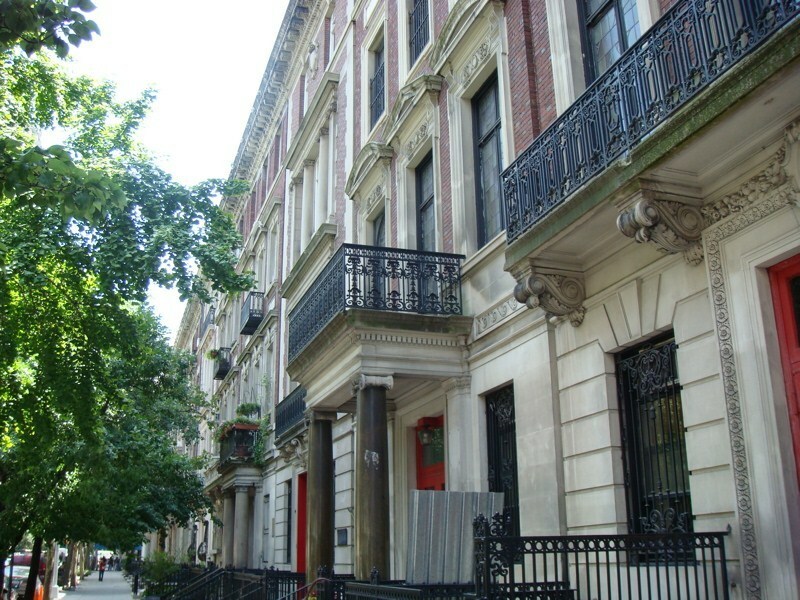 The real estate landscape of the Upper West Side consists of rows of charming brownstones especially in the 80’s between Amsterdam and Columbus avenues and several magnificent buildings located along Central Park West which are known for their grand balustrade balconies that afford gorgeous views of the Park. 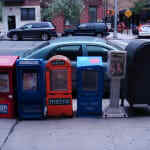 The Upper West Side like its counterpart the Upper East Side is essentially a residential neighborhood which also boasts of a vibrant arts and culture scene for located within this neighborhood are several legendary cultural institutions of New York City like the Lincoln Center for the Performing Arts, The Alice Tully Hall for Chamber Music, the Beacon Theater, the Julliard School of Music, The Walter Reade Theater, the Metropolitan Opera House, the New York Philharmonic and museums like The American Museum of Natural History and Planetarium and the Children’s Museum of Manhattan. 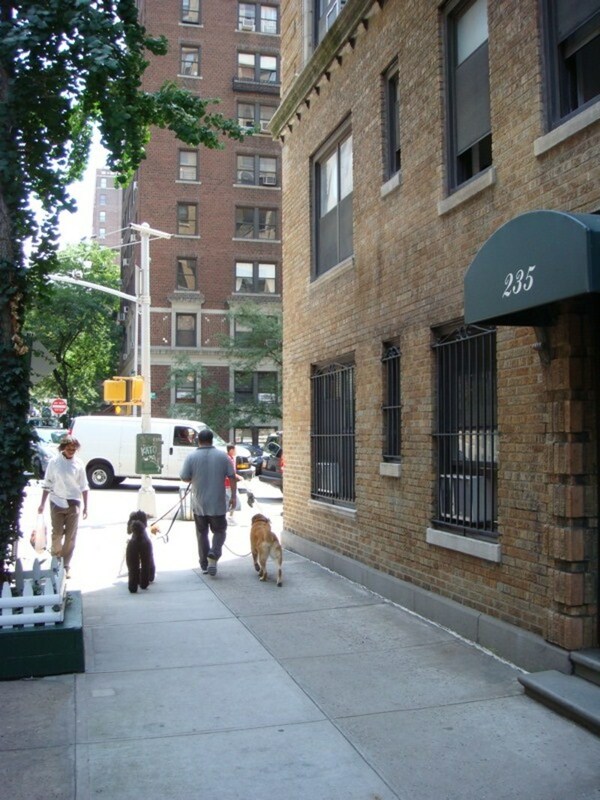 This neighborhood is also immensely popular with New York City families as it has excellent schooling facilities. 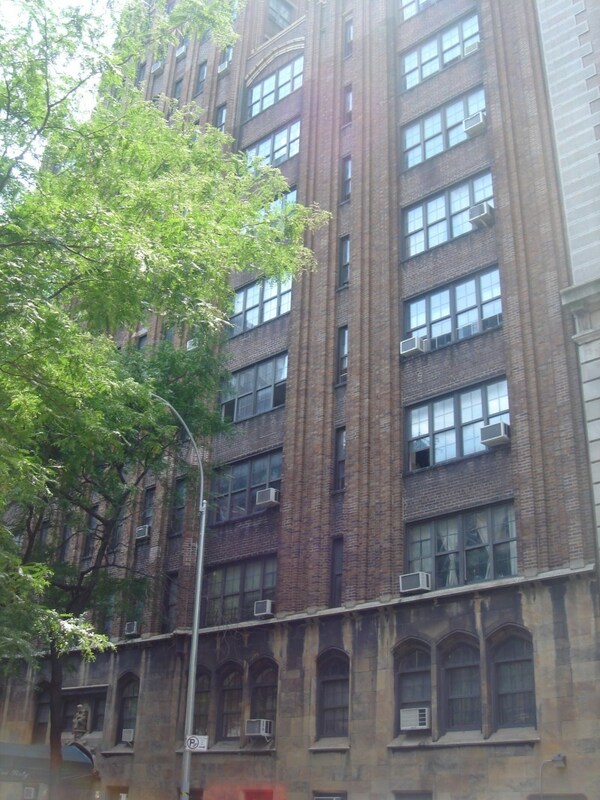 Some of the most famous and much sought after schools that are located here include the Anderson School (PS 334) which is public school for gifted children, the Hunter College High School for Sciences (M541) and The Collegiate School for boys which is located on 78th street and West End Avenue and has the distinction of being the oldest school in the USA founded as it was in 1628. 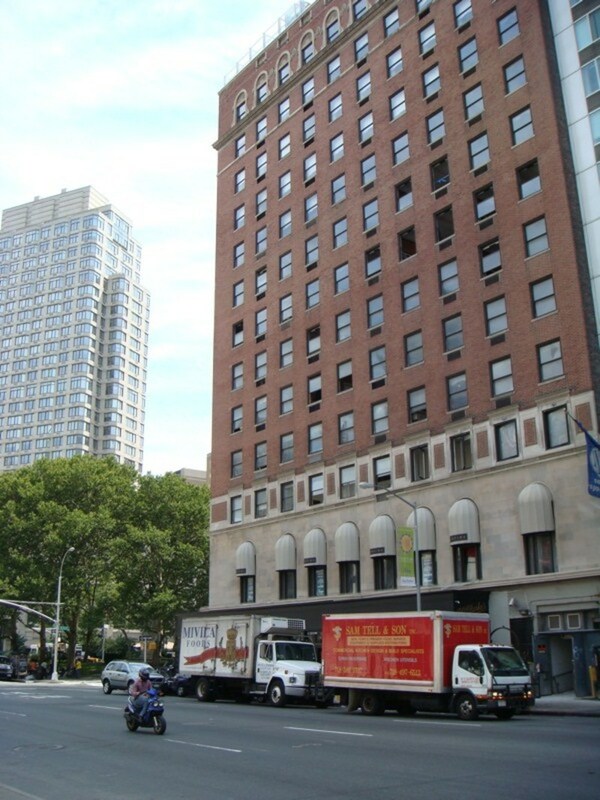 "Your Place for Performing Arts and So Much More"
Upper West Side is an upscale residential neighborhood that is a little less expensive than its eastern neighbor (Upper East Side). 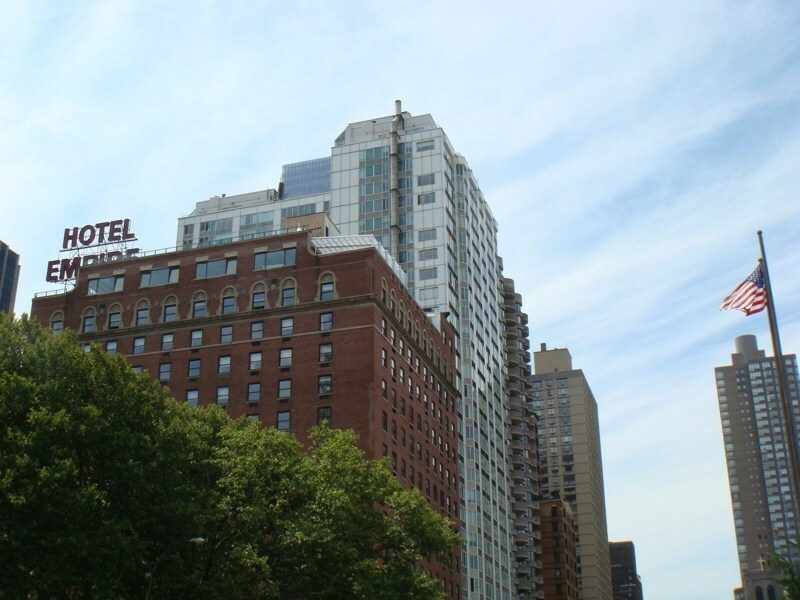 Upper West Side is known to be the “cultural heart of the city” and exhibits quite a range of attractions. Interested in performing arts? 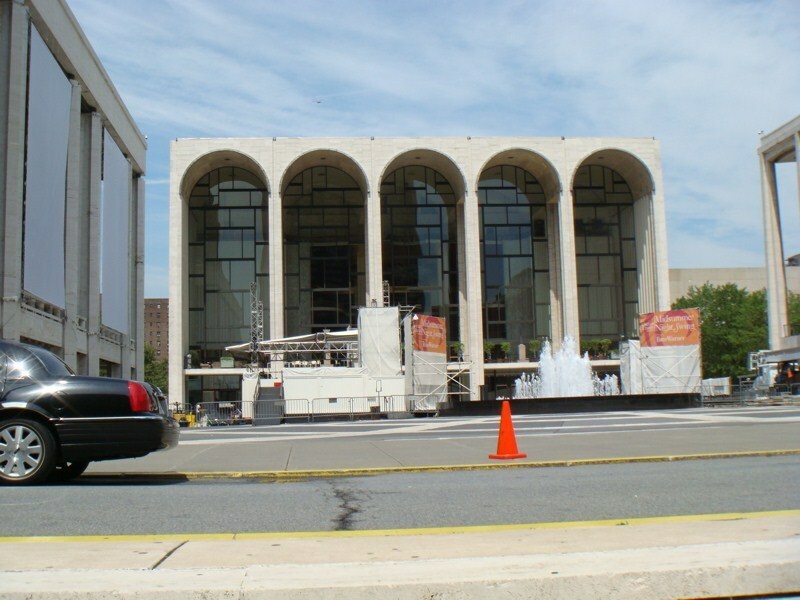 Check out Lincoln Center, which includes the Lincoln Center Theater, the famous Metropolitan Opera House or “the Met,” and the New York Philharmonic – which you can see every Thursday rehearsing (tickets are cheap). 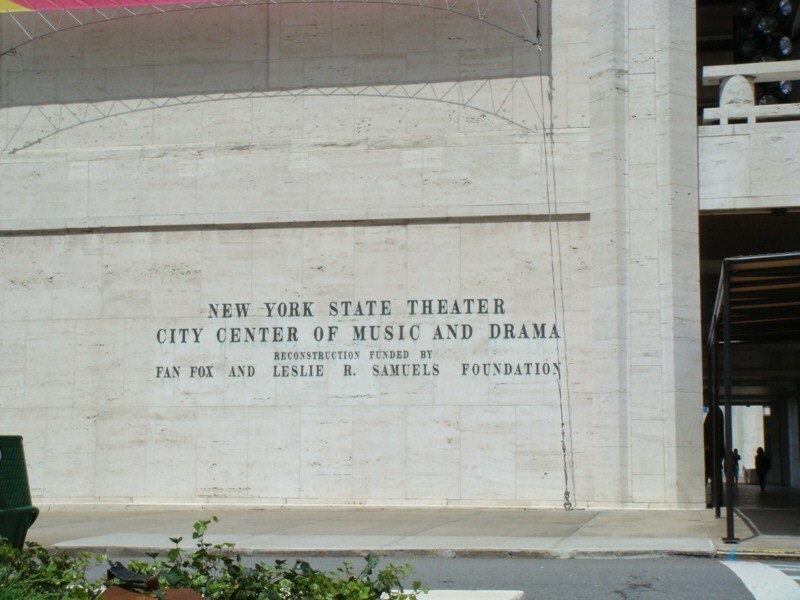 Also in this area are the New York City Ballet and the New York State Theater. 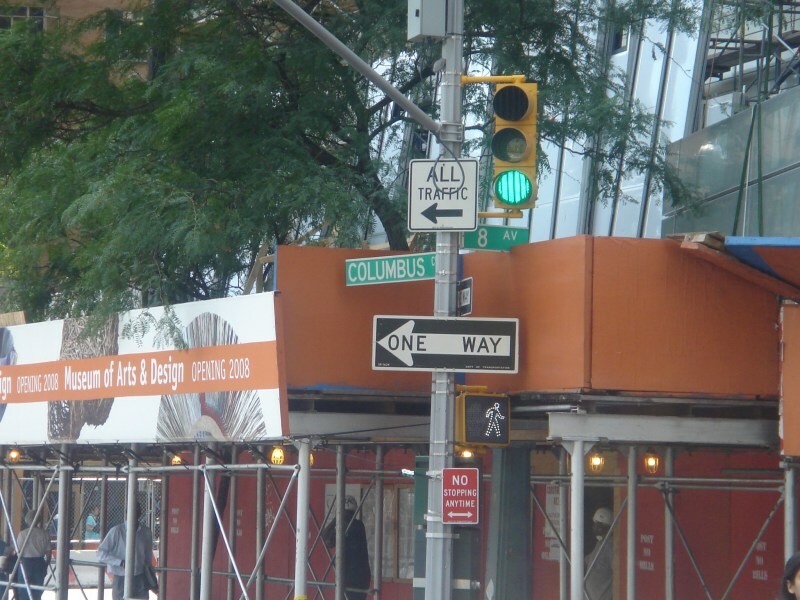 Shopping can’t be missed at Columbus Circle. 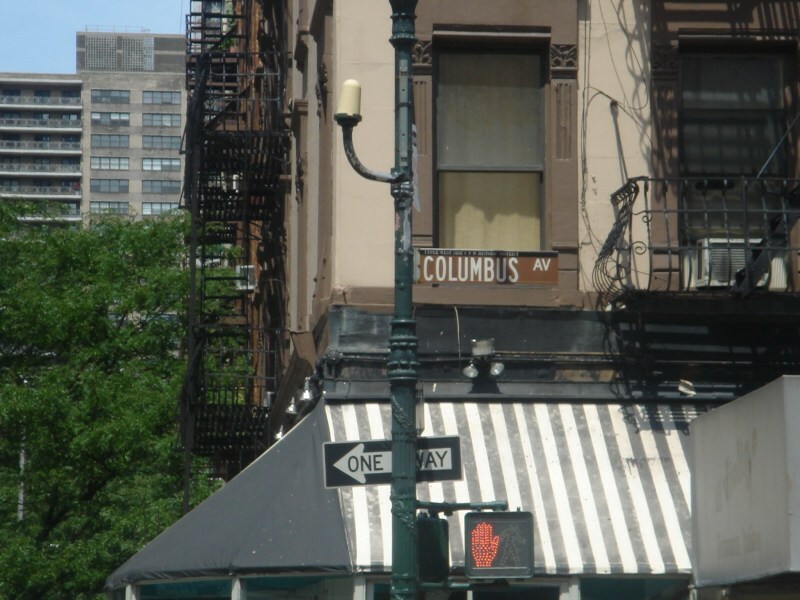 Columbus and Amsterdam Avenue have many boutiques, restaurants, and bars. For a night out on the town, check out Dizzy’s Club Coca-Cola for a wild night of entertainment. 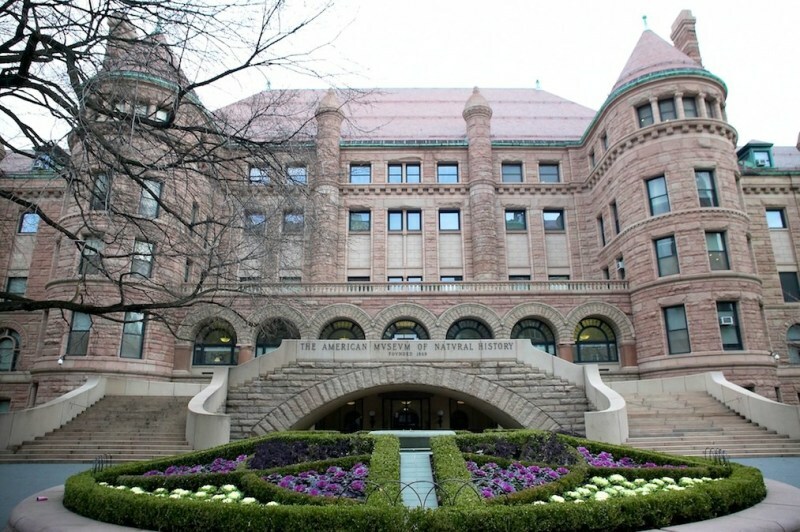 If you are looking for something educational to do with your children, you might take them to the American Museum of Natural History along Central Park, as well as the Children’s Museum of Manhattan on 83rd Street. 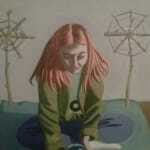 This museum features interactive exhibitions for children – lots of hands-on workshops. 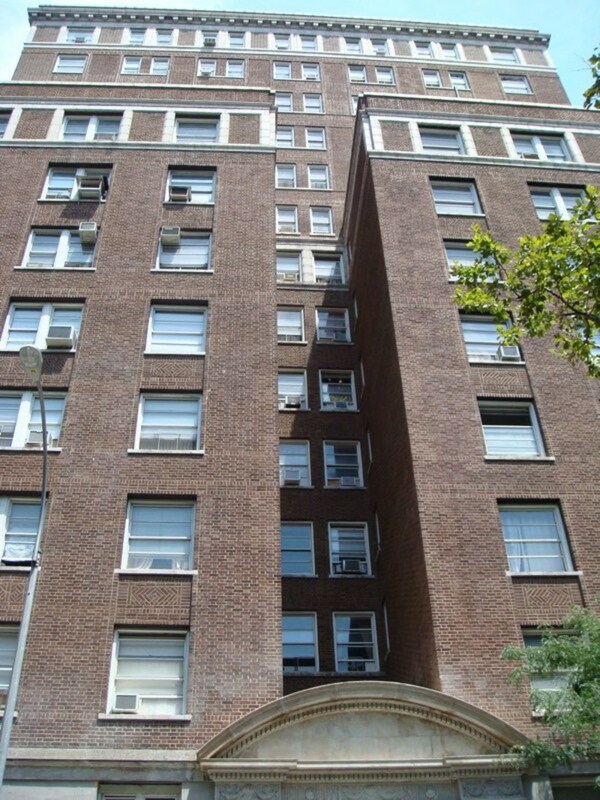 Beatles fans won’t want to miss the famed Dakota Apartment Building at 1 West 72nd Street, where “Rosemary’s Baby” was filmed and former resident John Lennon was assassinated December 8, 1980. "Great scene for retirees, rich people"
I worked briefly in a restaurant in this neighborhood (indeed, this neighborhood is full of restaurants that cater to retirees with plenty of money to spend), but ultimately had to call it quits because the journey from the Lower East Side was just too time consuming. So, if you are a twenty-something looking to party (and want to do it downtown), don’t move here. Chances are you can’t afford it anyway. This neighborhood is nice, don’t get me wrong, but seems far removed from what a young person would find deserving of time in the city. 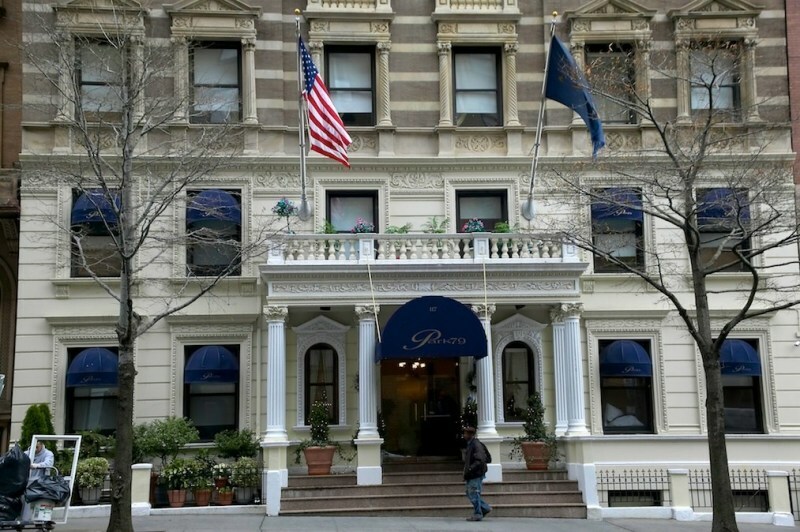 If you want to spend as much money as possible on fine dining, then check out Tavern on the Green in the Upper West Side area of Central Park. The place wins all kinds of awards, and rakes in about $38 million a year. 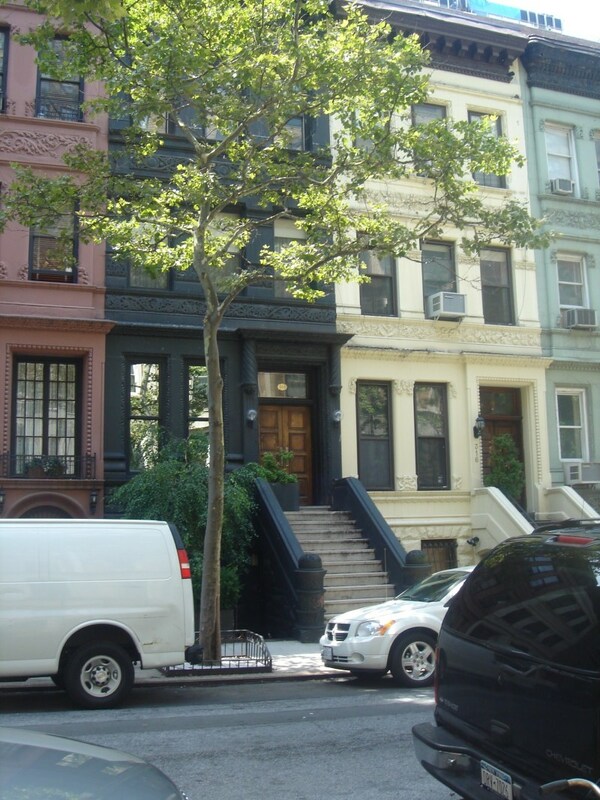 "Upper West Side - trendy, with beautiful brownstones and museums." 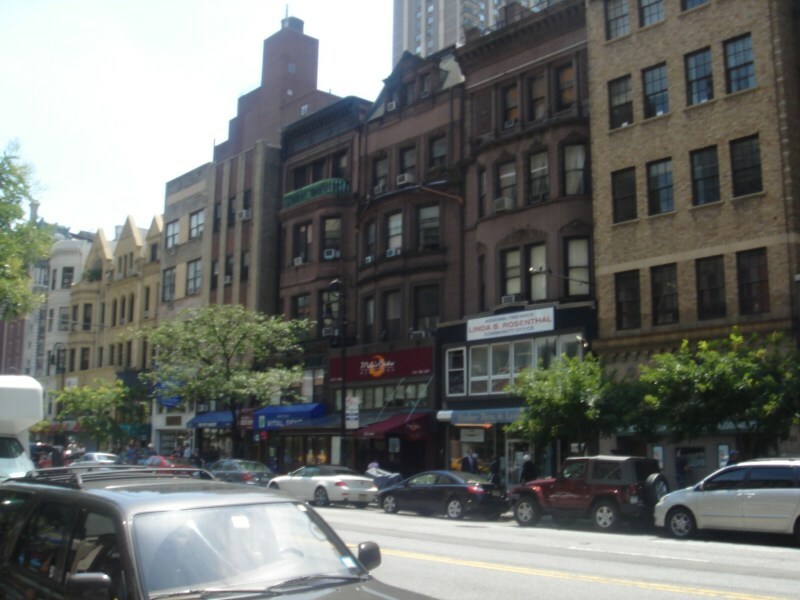 The Upper West Side of Manhattan is a beautiful neighborhood, filled with several smaller neighborhoods, and is renown as a trendy yet elegant section of the island of Manhattan. Complete with great dining, entertainment, shopping, and housing options, this fabulous neighborhood is both a wonderful place to visit and a wonderful place to live. 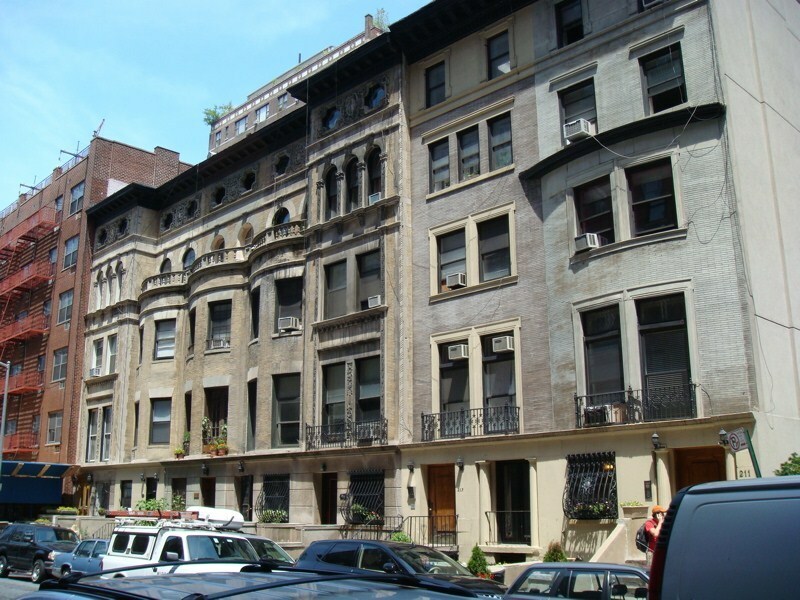 Comprised of several smaller neighborhoods, the Upper West Side is famous for its beautiful brownstones and eclectic mix of people. 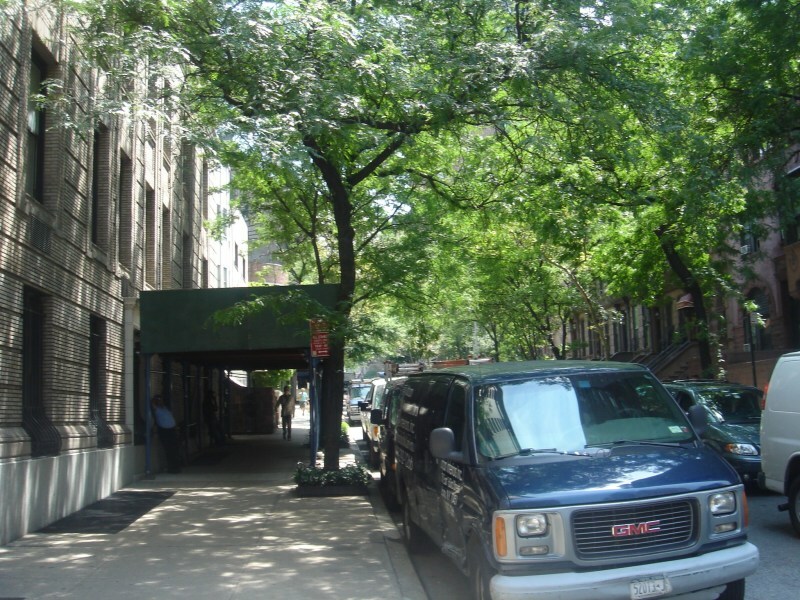 With every 10 blocks, the Upper West Side morphs but never loses its class or charm. 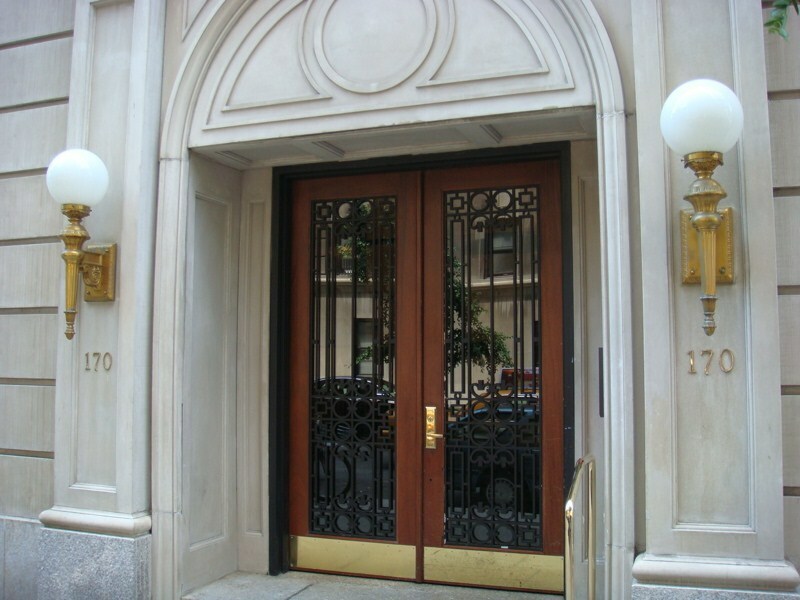 Sites throughout the neighborhood include the New York Public Library for the Public Arts, the New York Historical Society, the Julliard School of Music, Columbia University, the American Folk Art Museum, the Children’s Museum of Manhattan, Lincoln Center which includes the Metropolitan Opera House, the Museum of Biblical Art, and the Nicholas Roerich Museum. 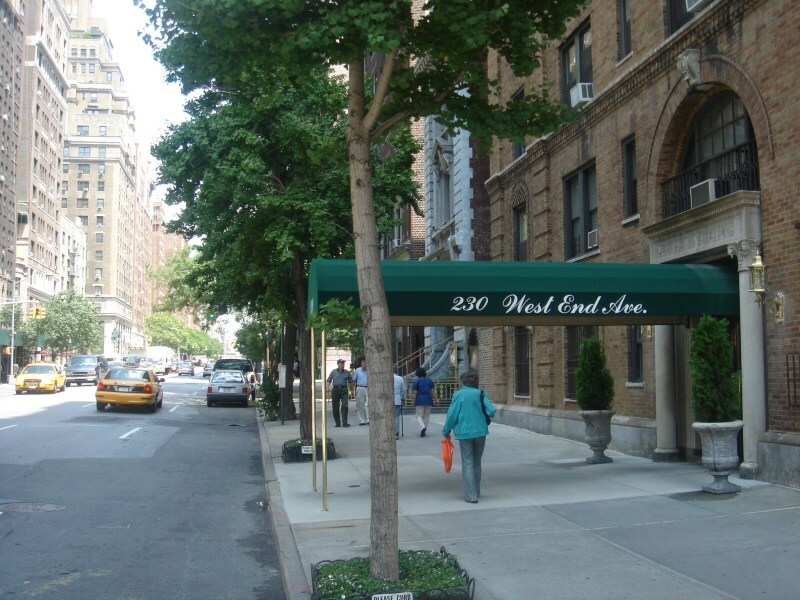 With its various cultural and historic options, the Upper West Side is a wonderful place for people of all walks of life, namely families. 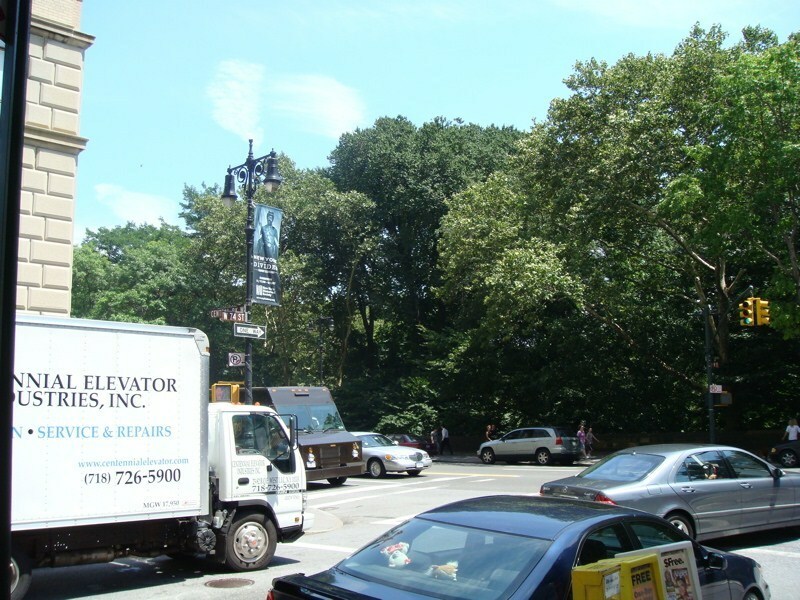 The neighborhood is extremely convenient, filled with small shops, grocery stores, and many streets in close proximity to the expansive Central Park. 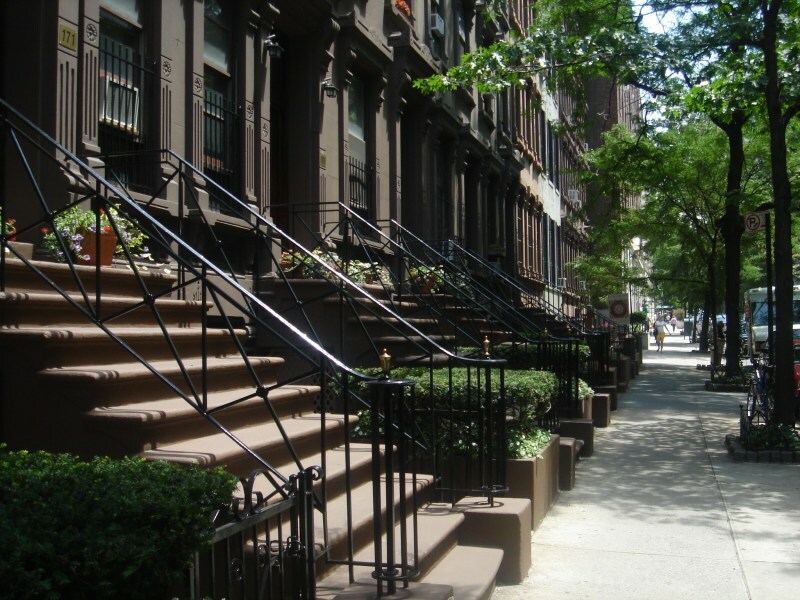 Real Estate in the neighborhood is expensive, though rental and subletting prices are lower as one moves north toward Harlem. 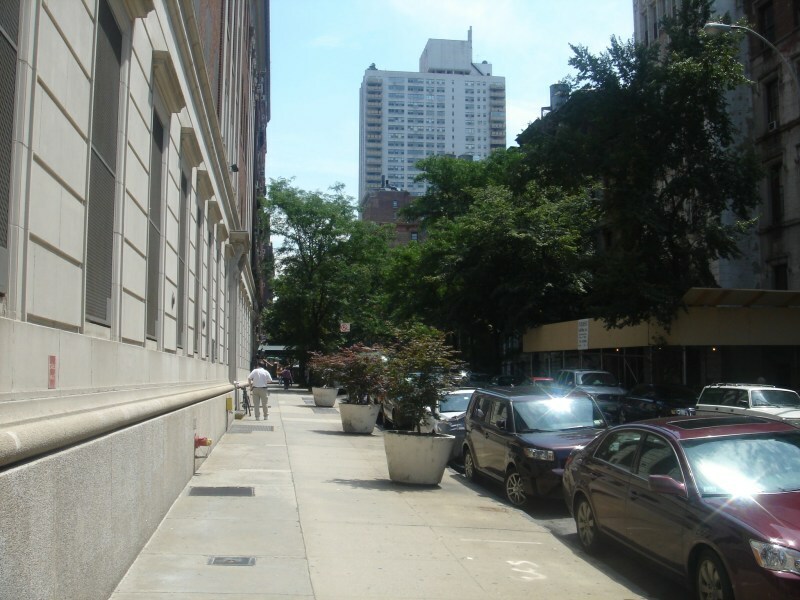 Throughout the Upper West Side are wonderful schools and institutions of higher learning, as well as small park made to cater to residents and visitors to the neighborhood. 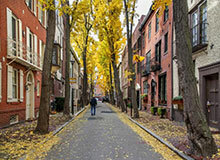 Dining and shopping in the neighborhood is diverse, ranging from small bagel joints to celebrity infested haunts. 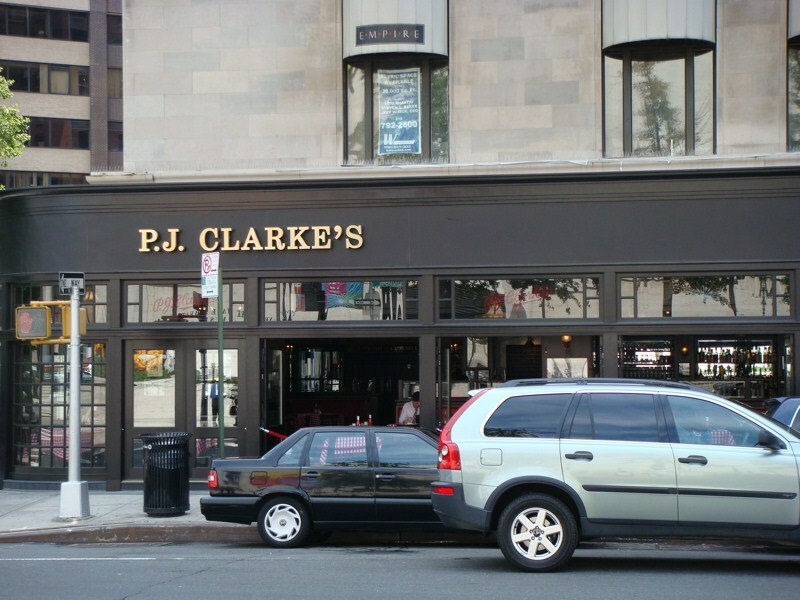 Nightlife in this neighborhood is also prime, boasting a hip jazz scene. 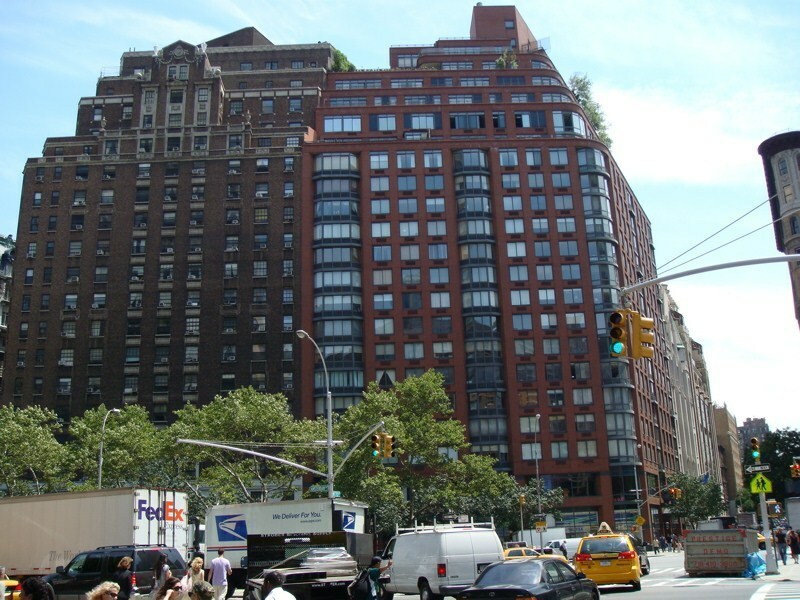 The Upper West Side is well connected to other parts of the city, and is a fantastic part of Manhattan. Transportation: 1, 2, 3 A, C, E F, V trains service the Upper West Side, as well as several buses and taxis.